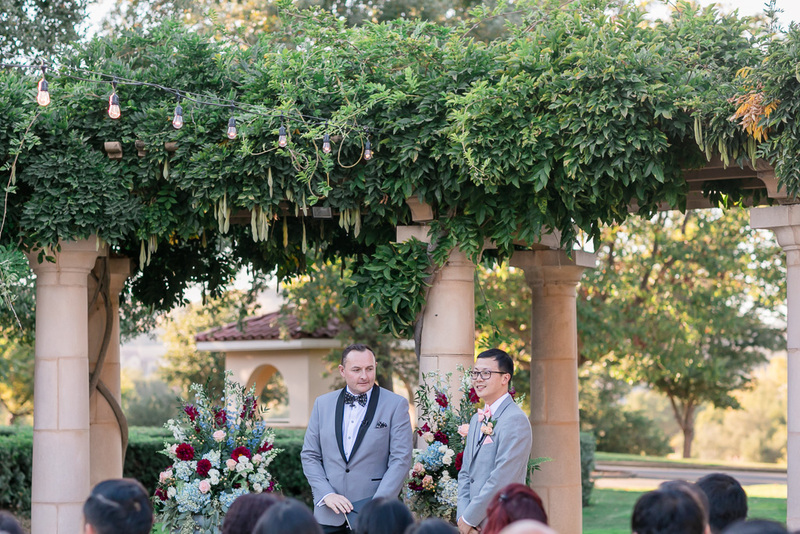 We’d been excitedly looking forward to Will & Sam’s wedding for over a year now. 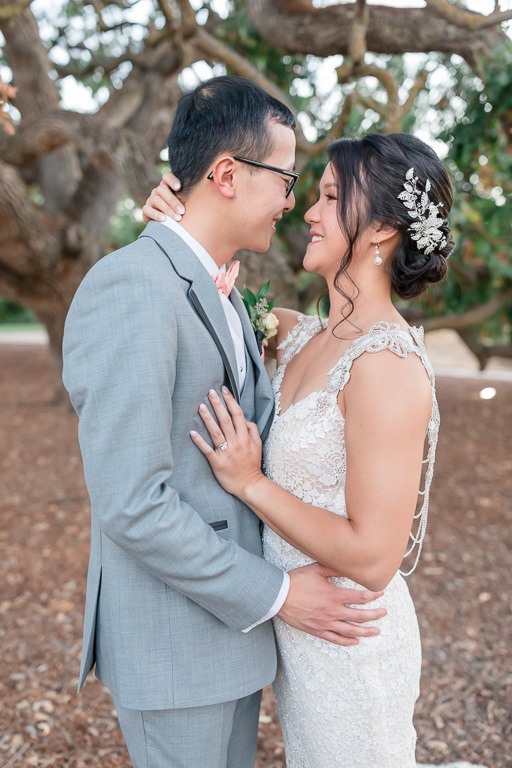 Ever since their proposal at the Palace of Fine Arts here in San Francisco and engagement session at UCLA where they first met (and I think that’s the farthest from home we’ve ever been for an engagement shoot! 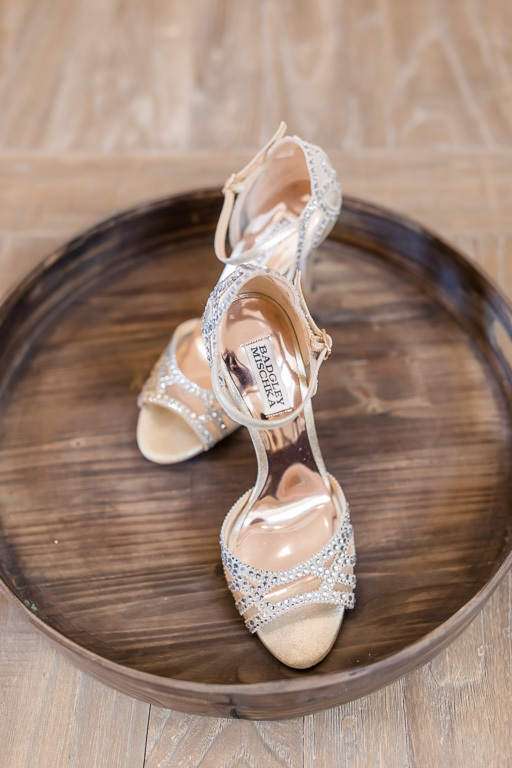 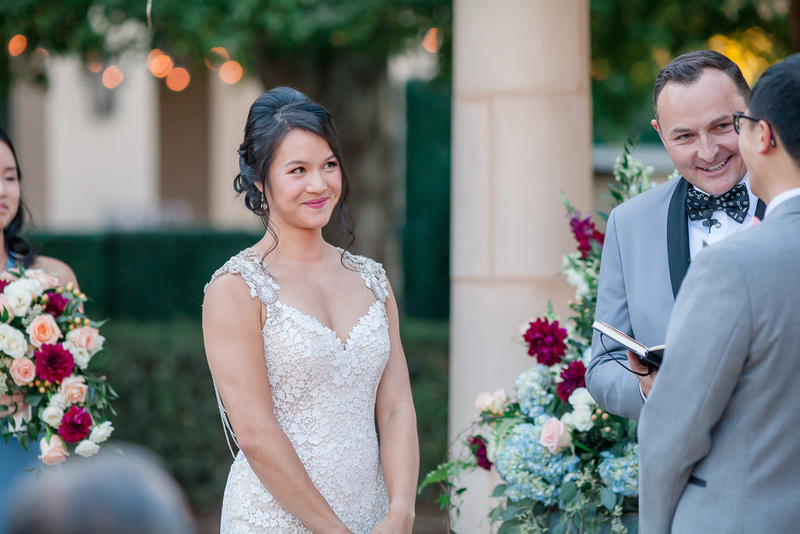 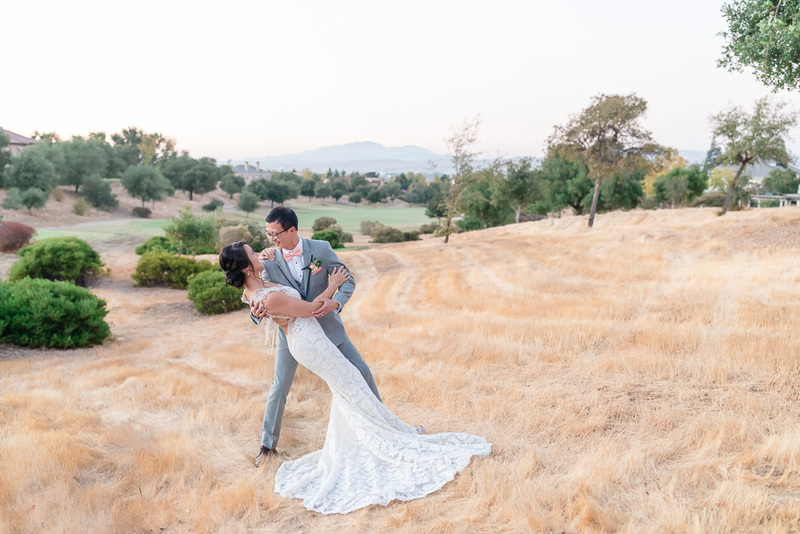 ), we couldn’t have been more excited for their wedding day at The Club at Ruby Hill. 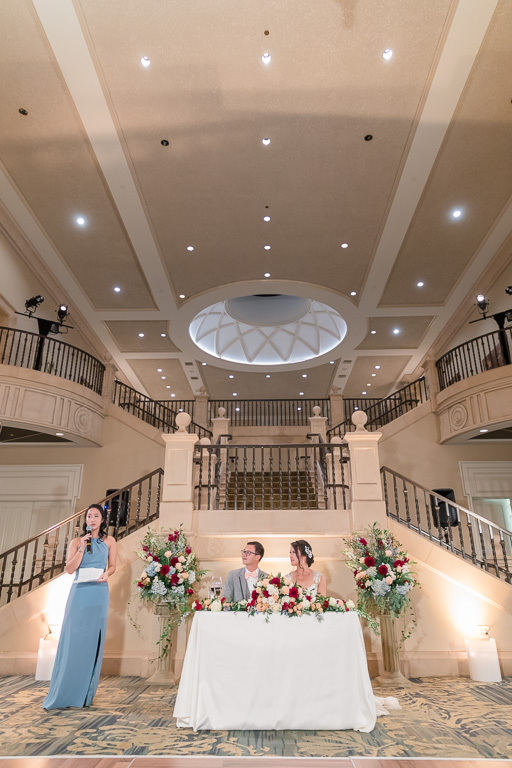 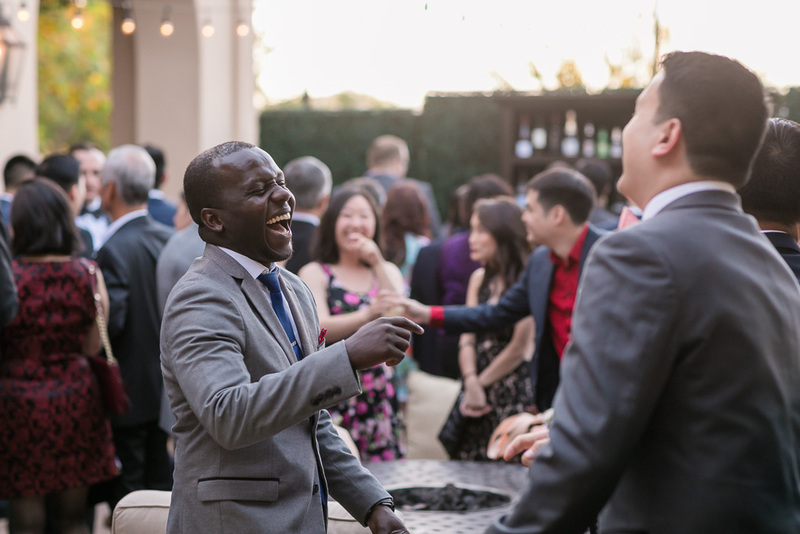 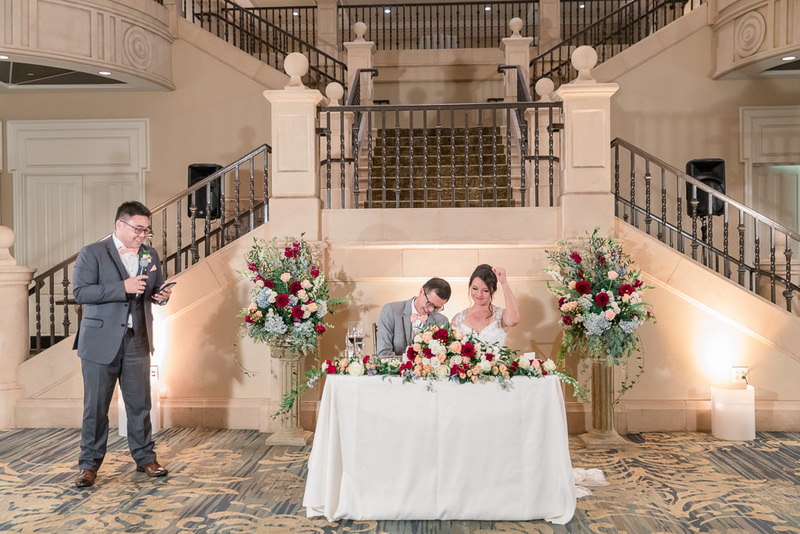 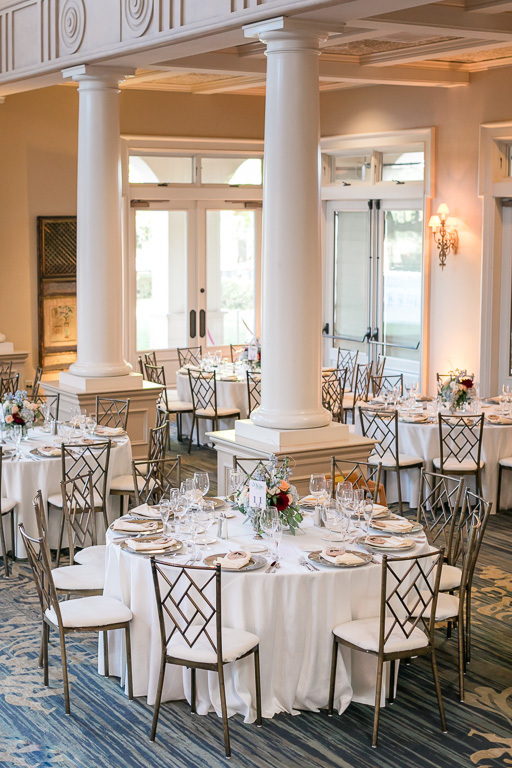 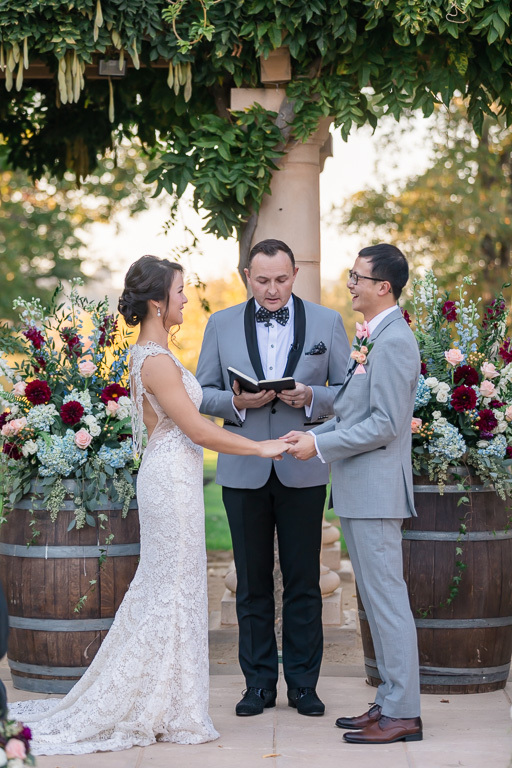 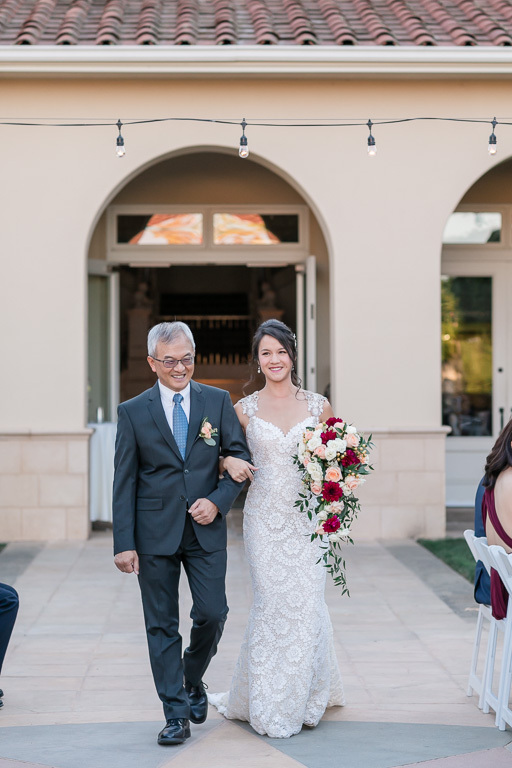 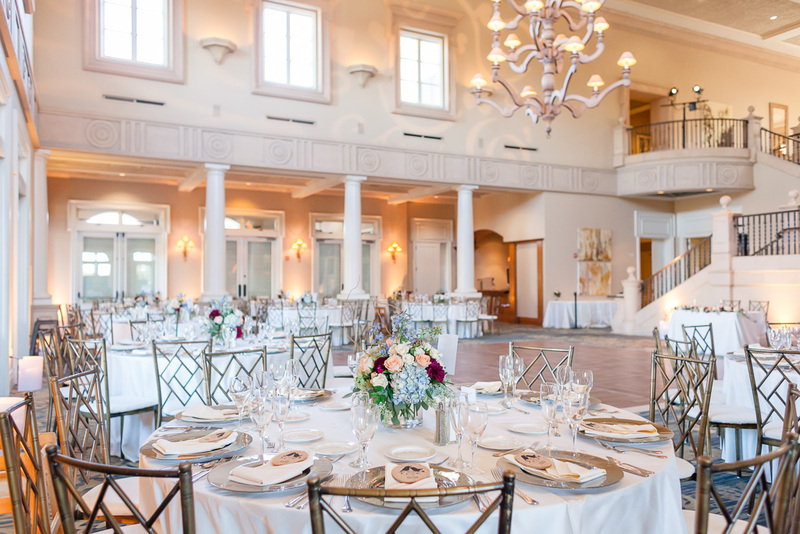 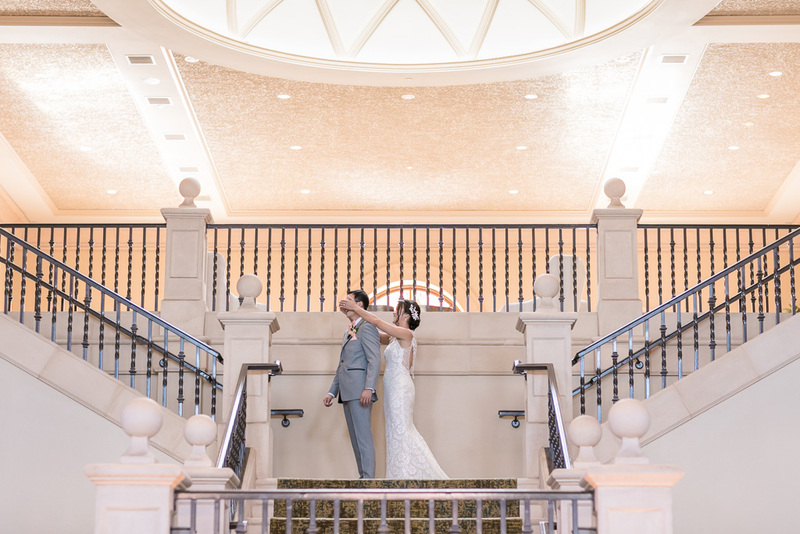 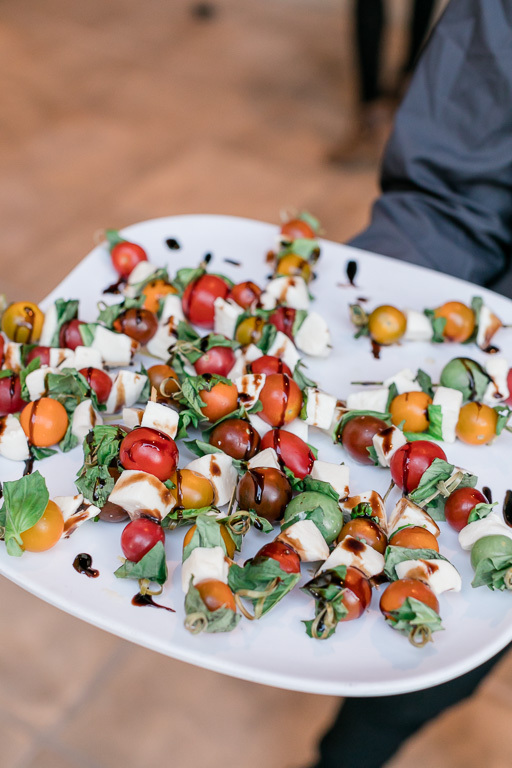 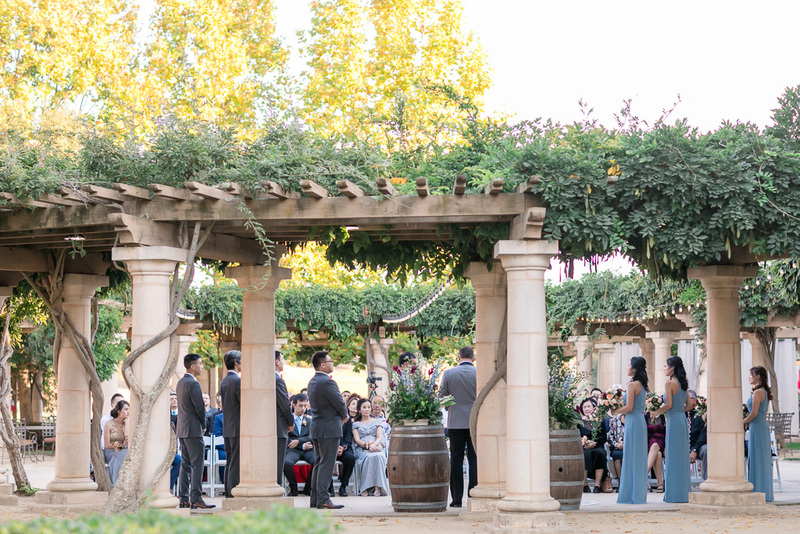 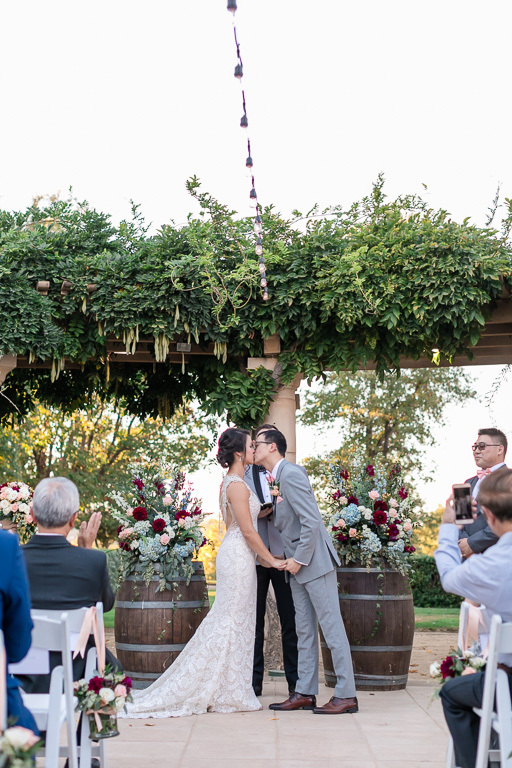 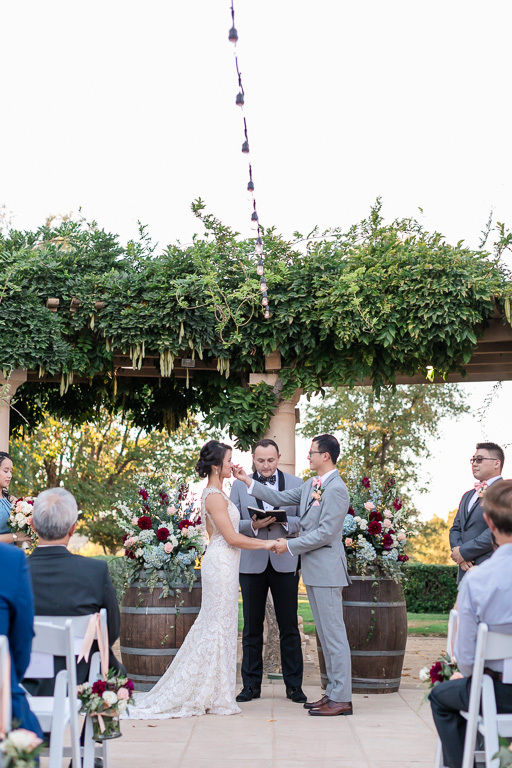 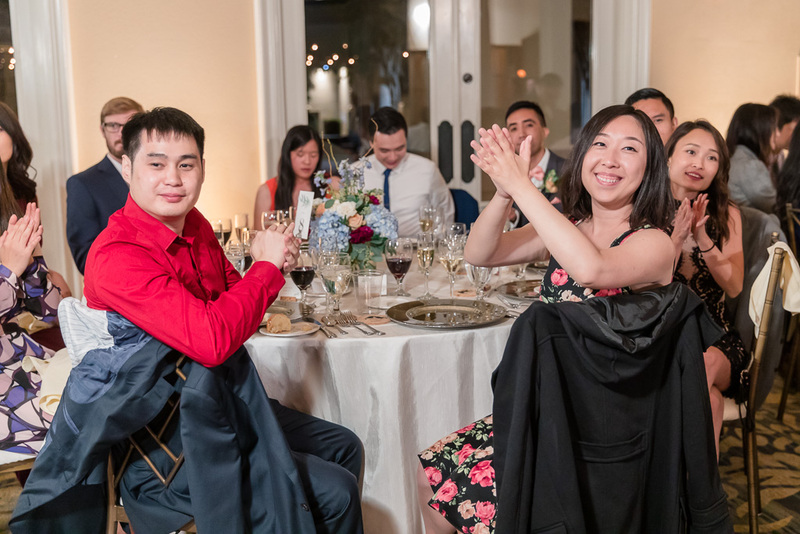 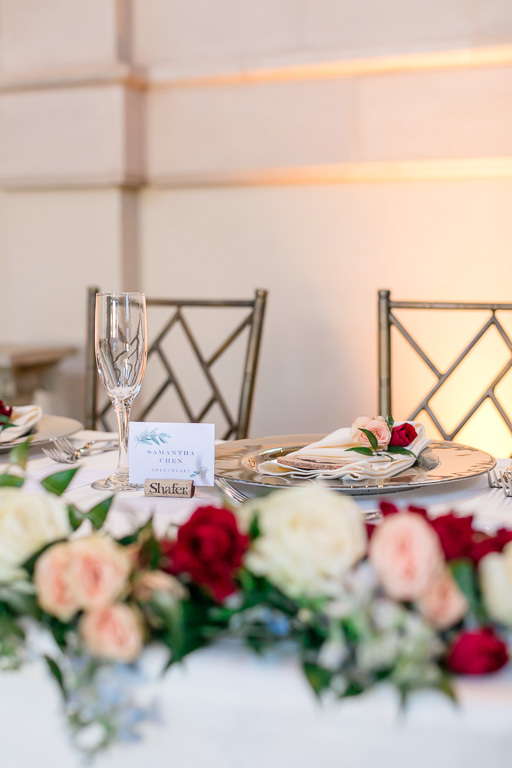 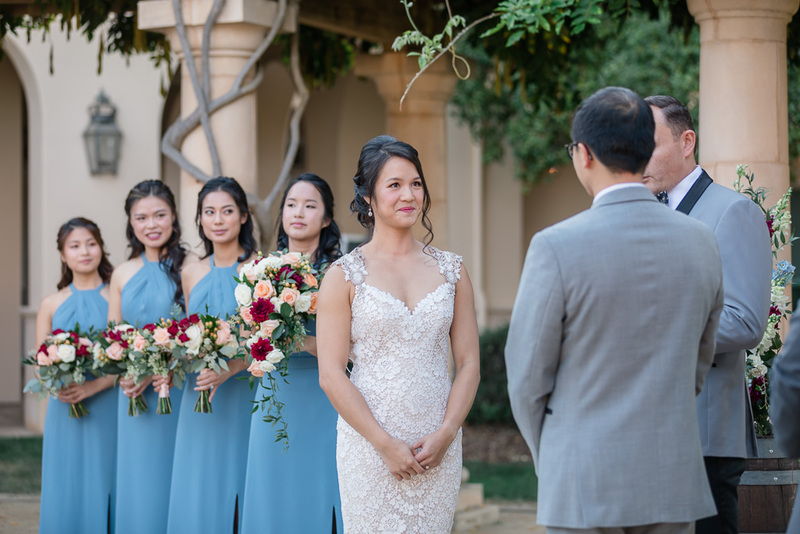 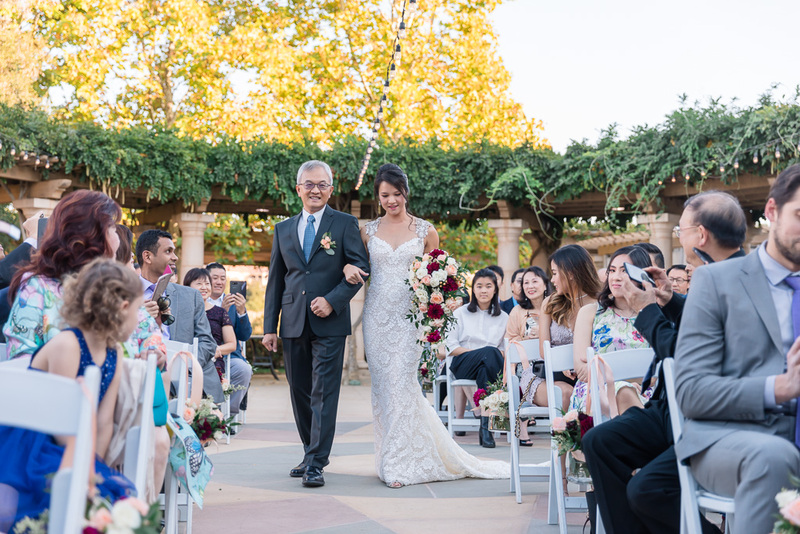 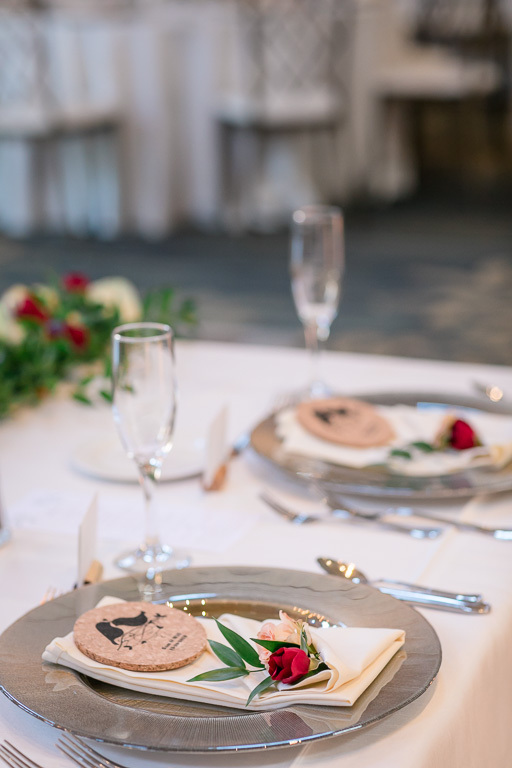 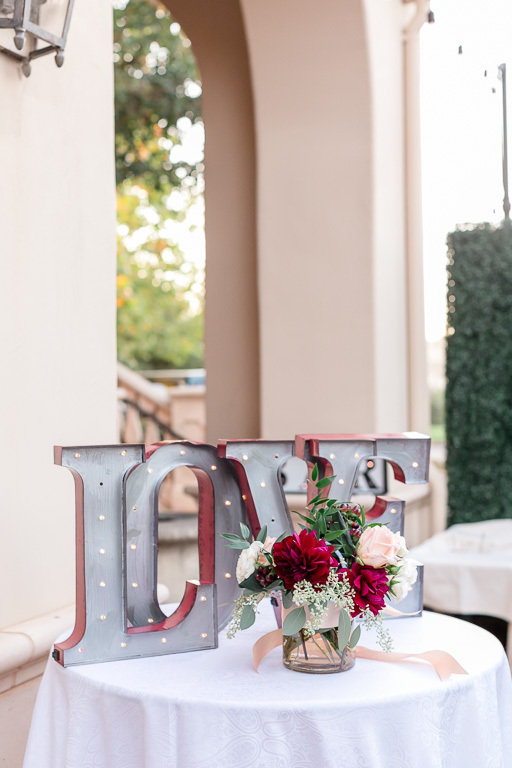 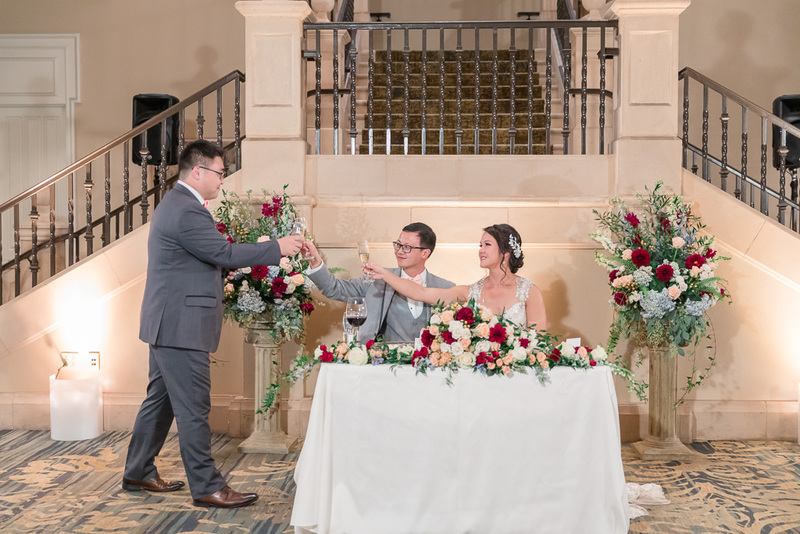 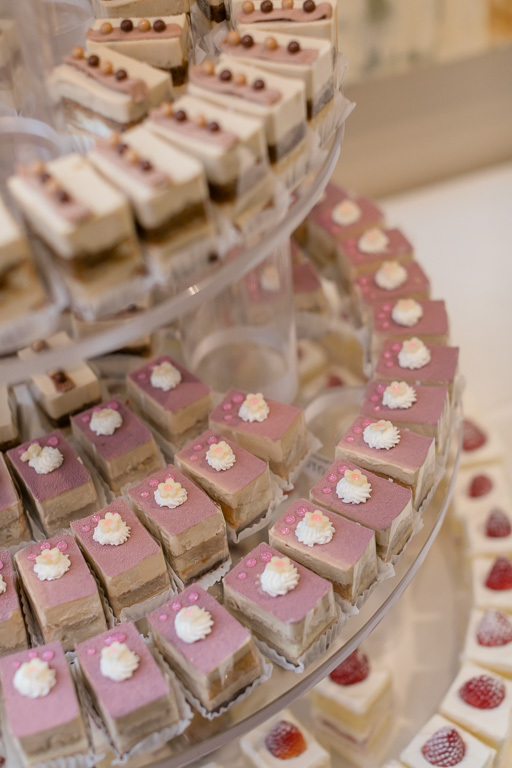 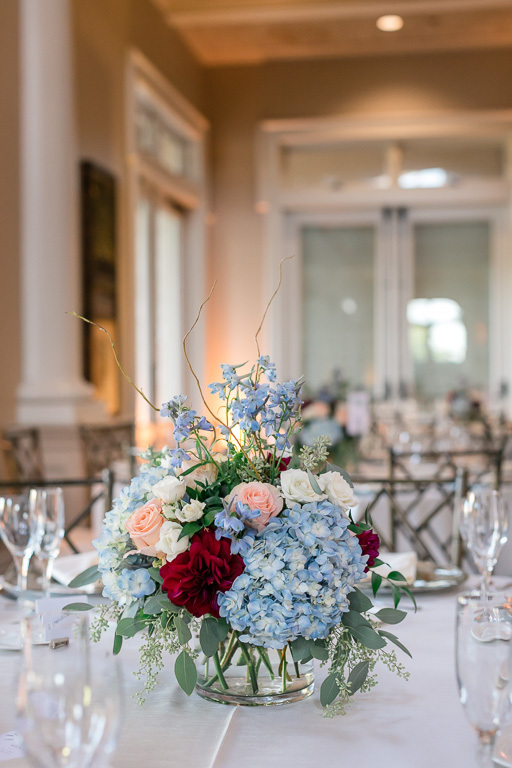 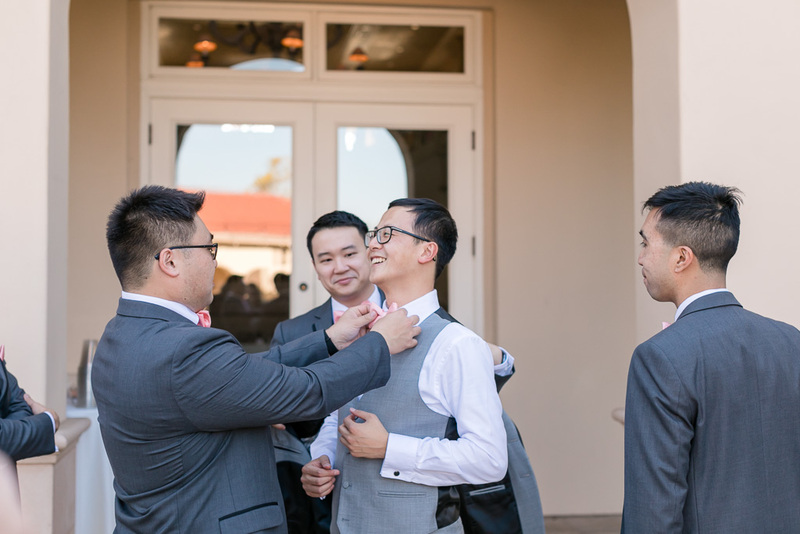 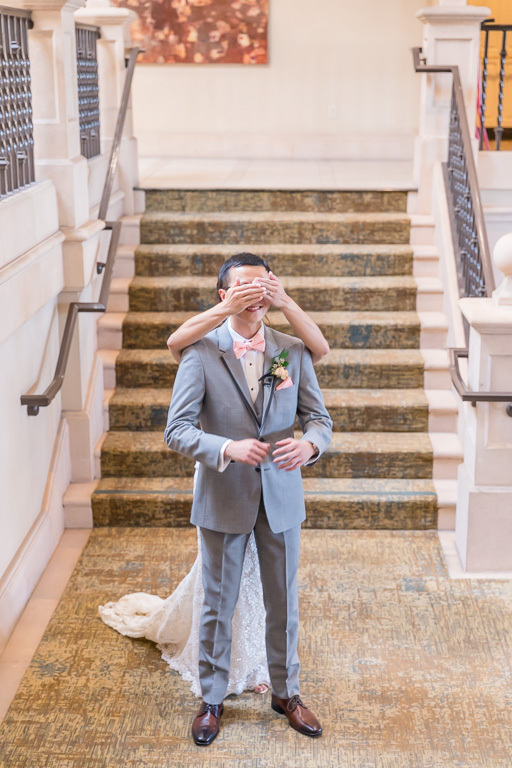 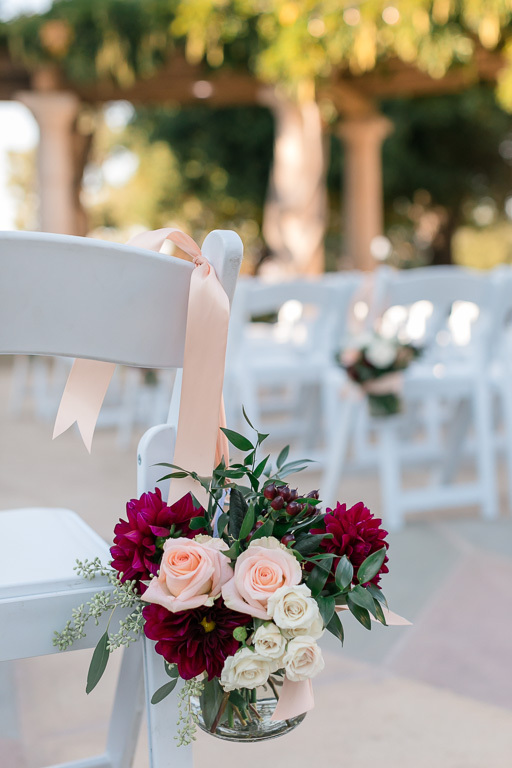 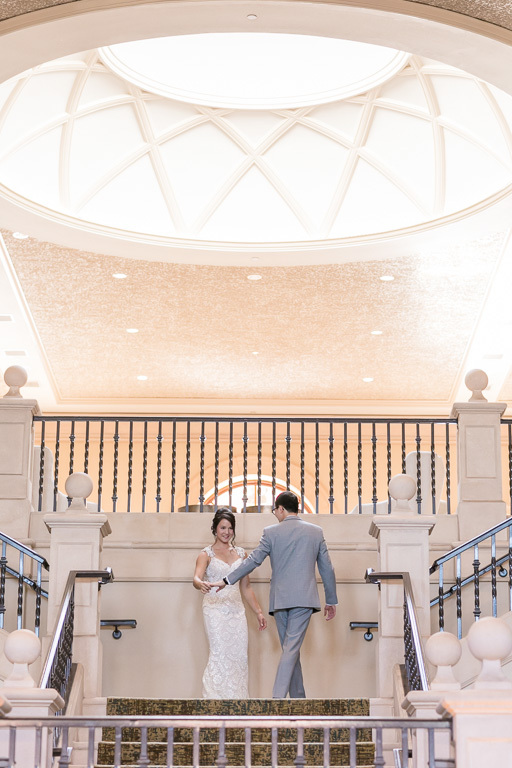 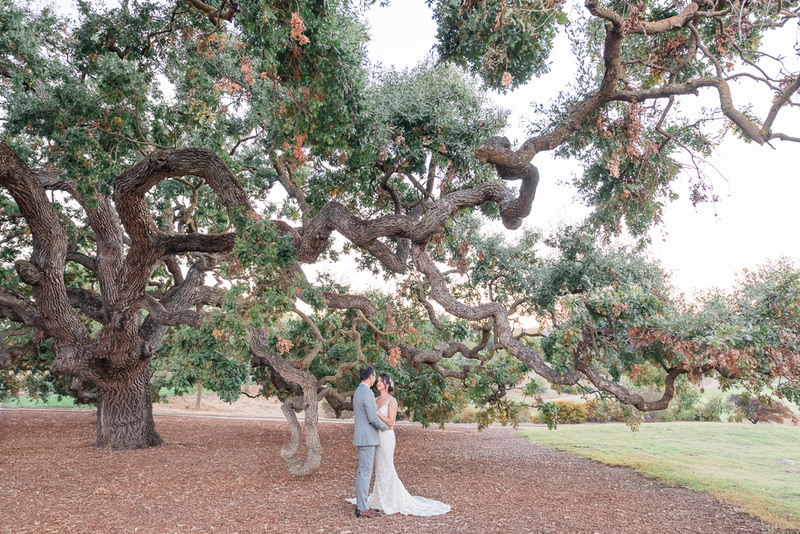 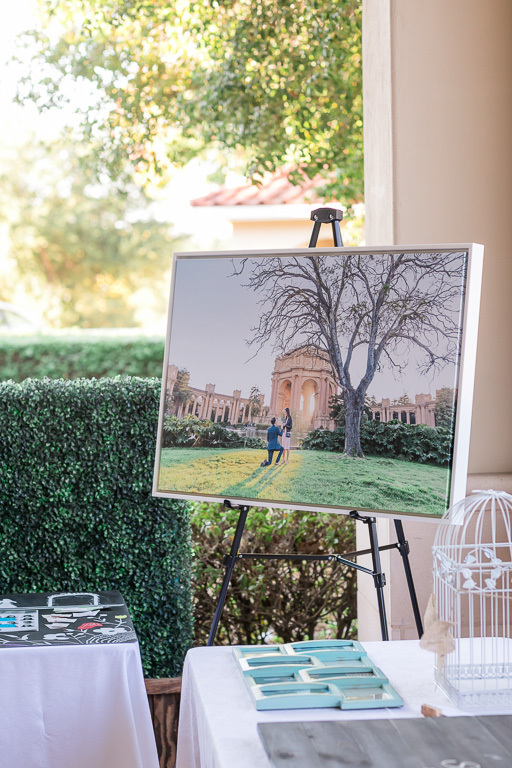 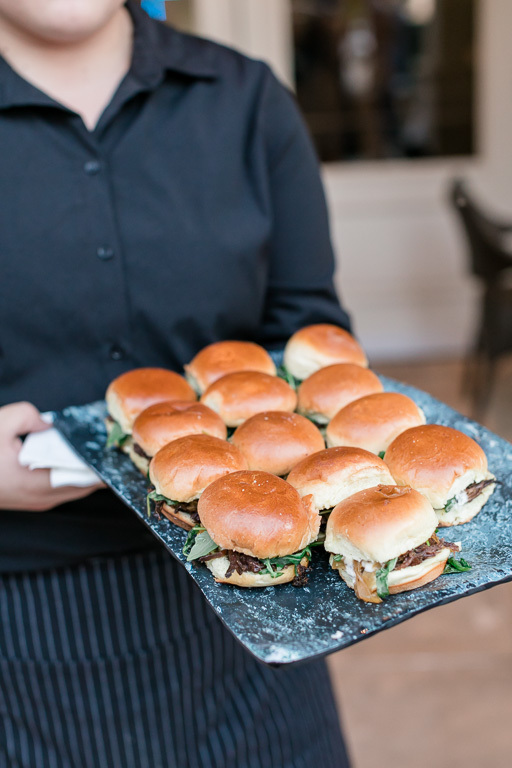 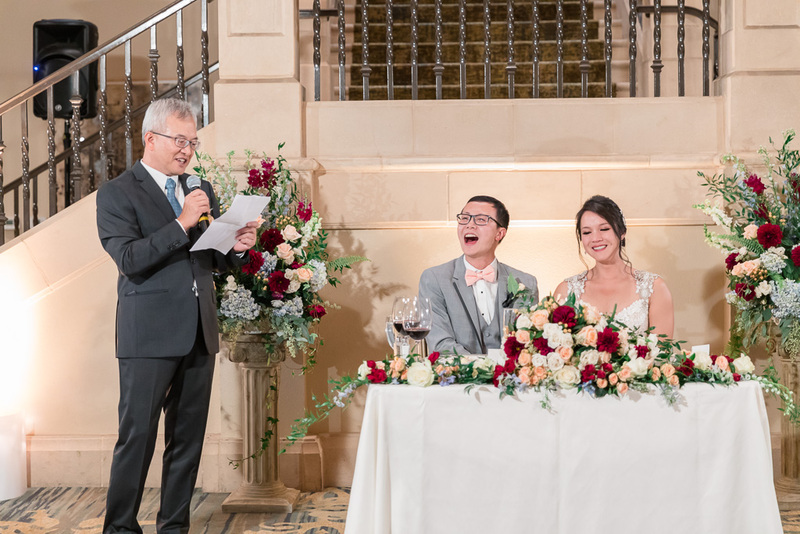 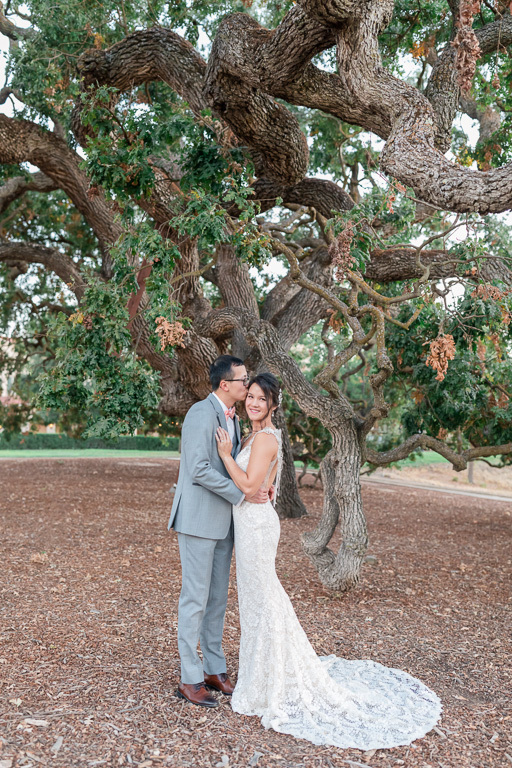 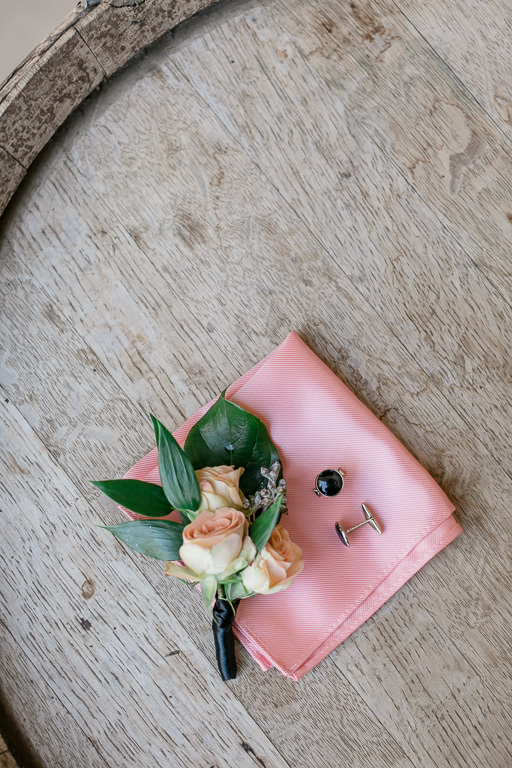 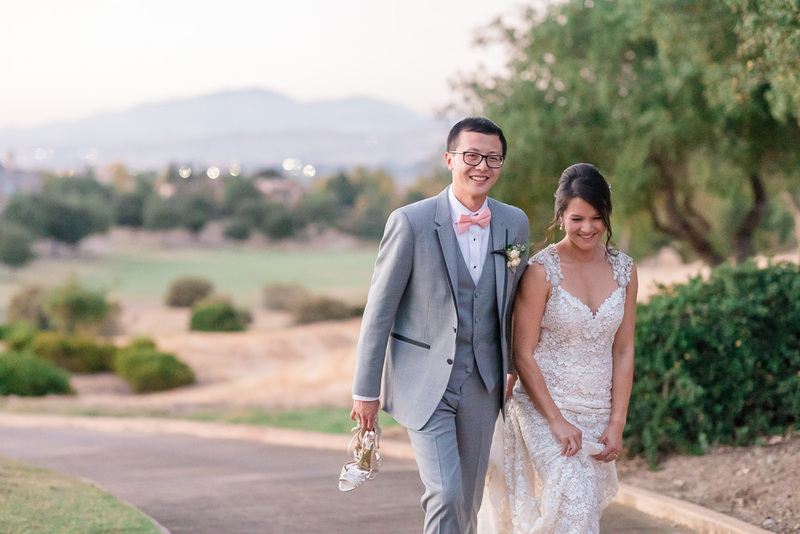 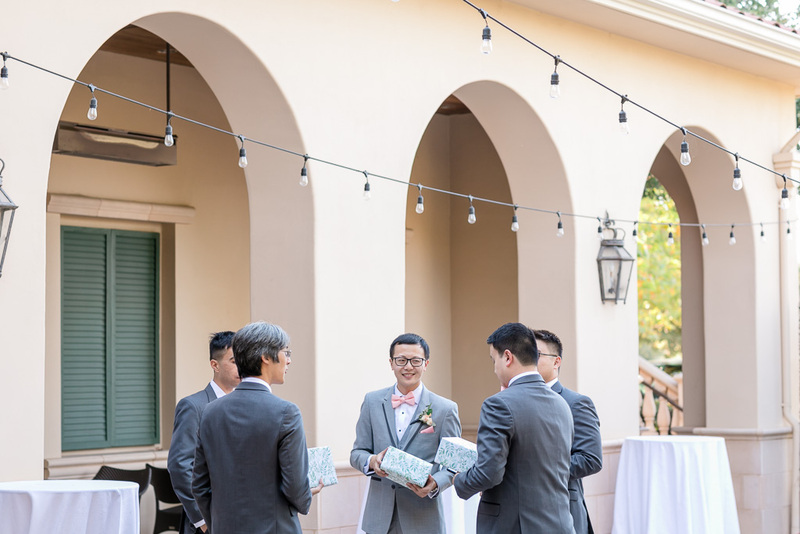 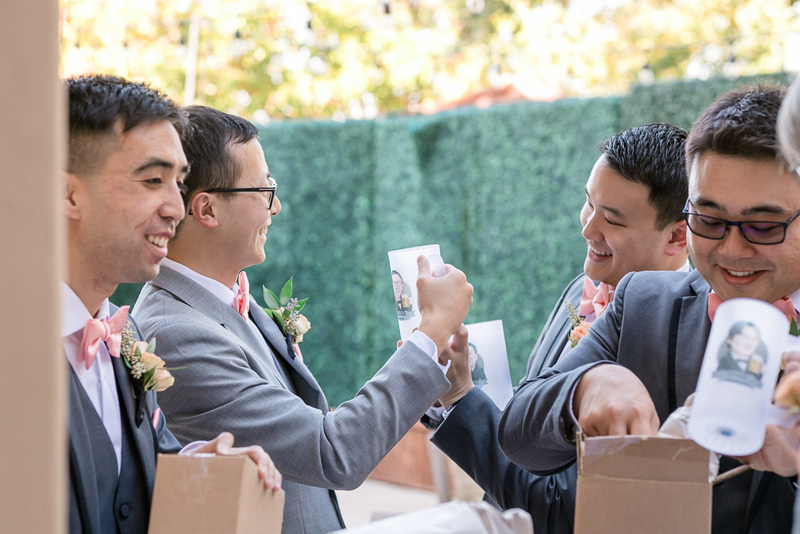 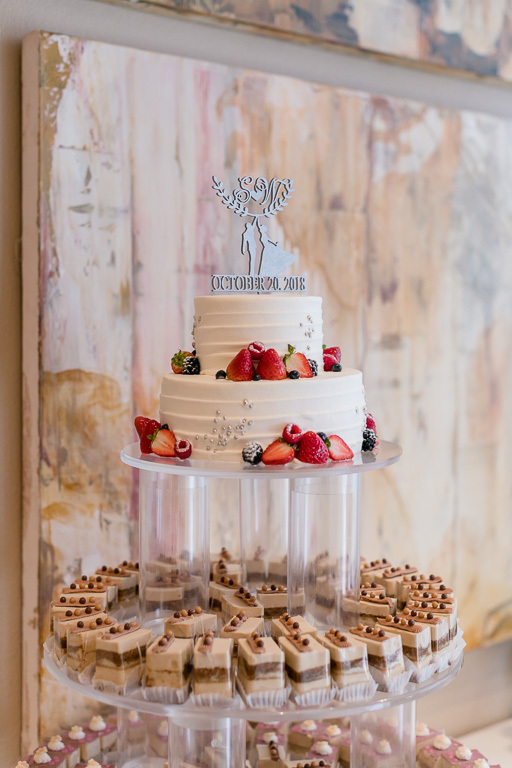 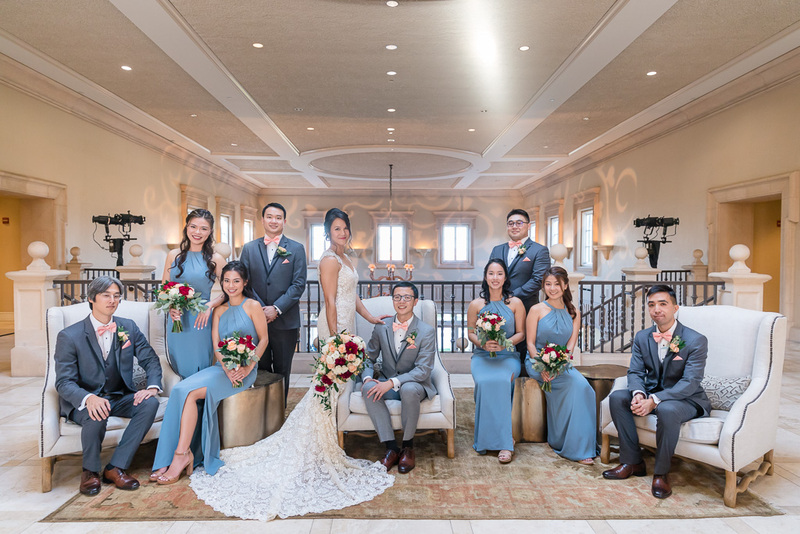 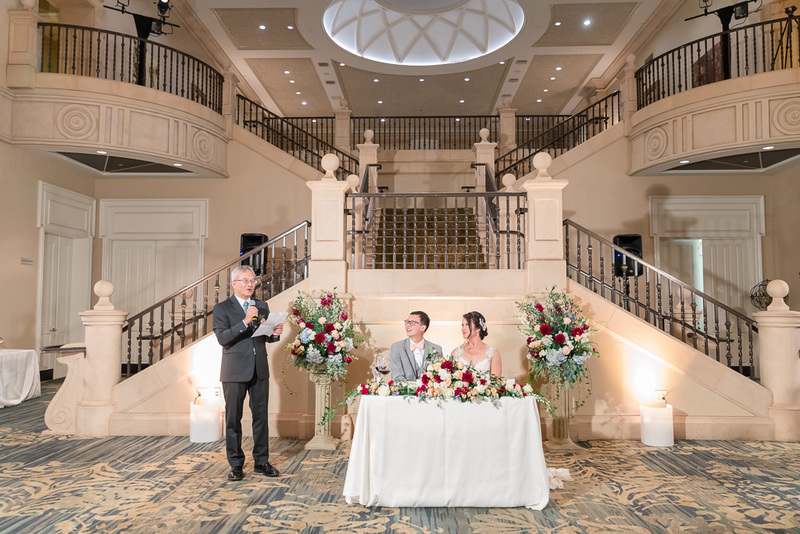 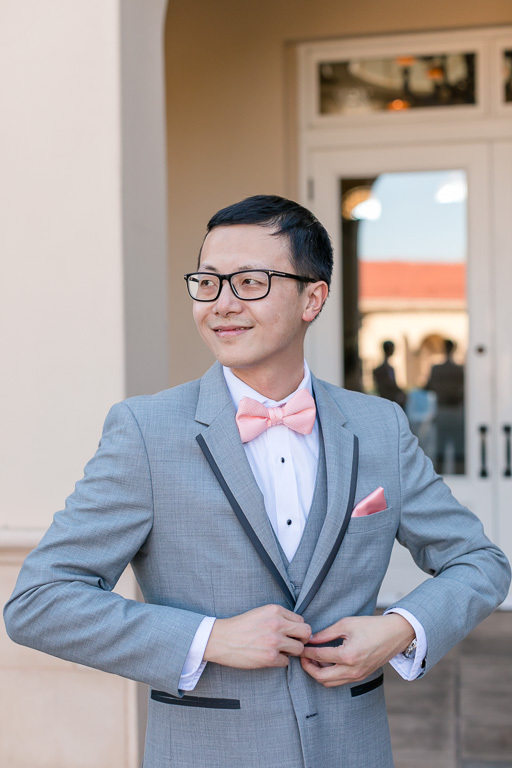 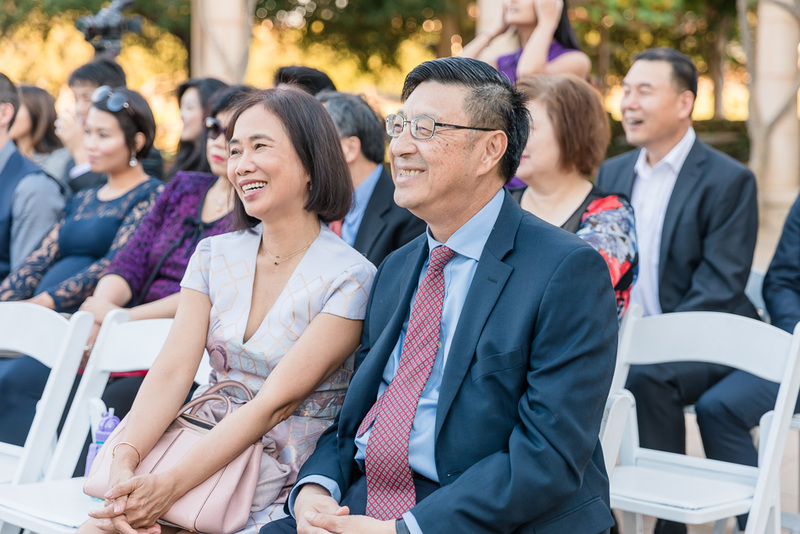 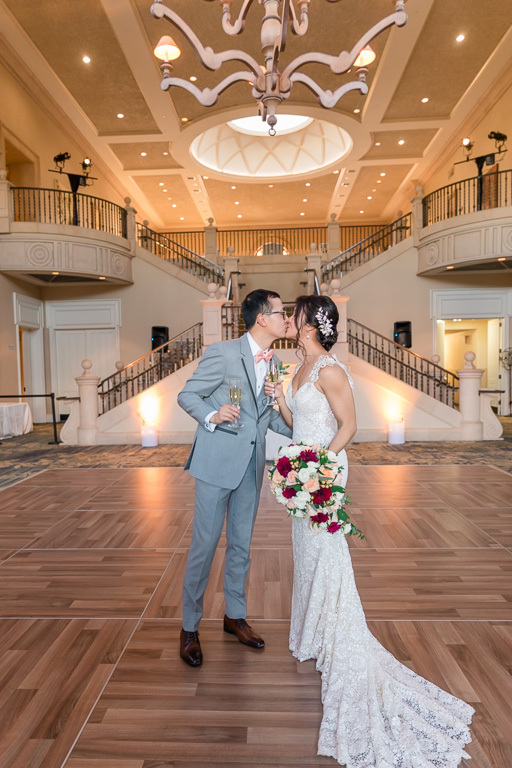 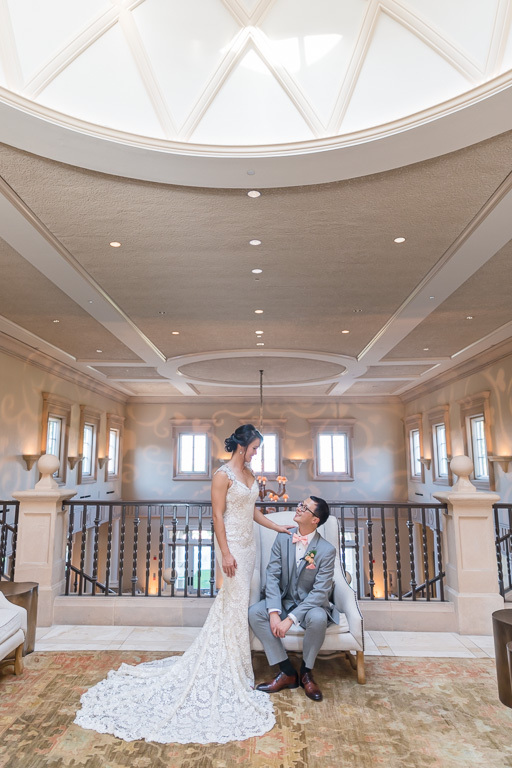 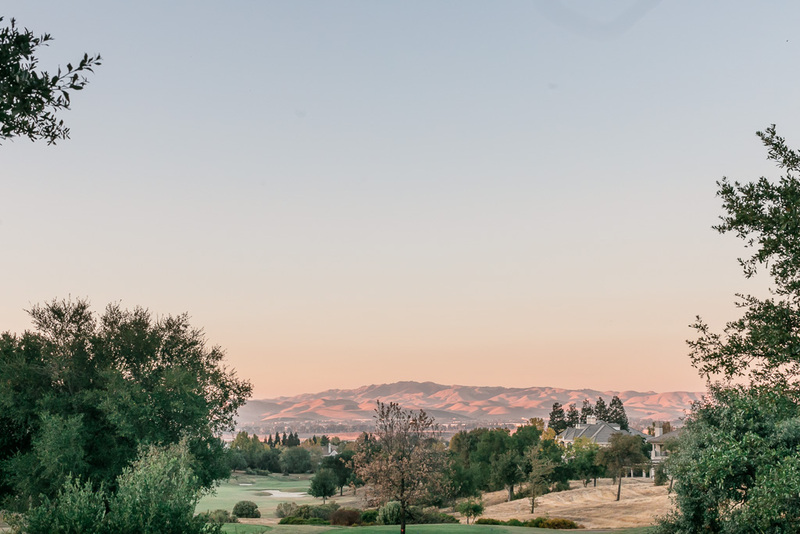 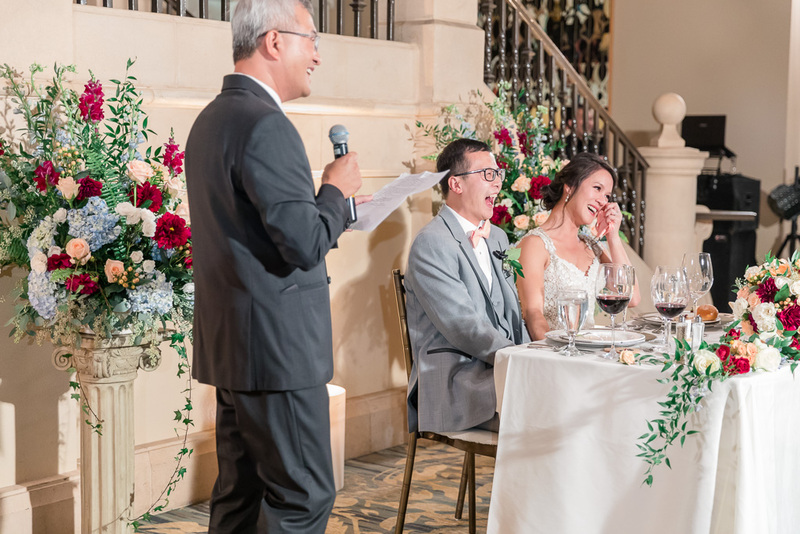 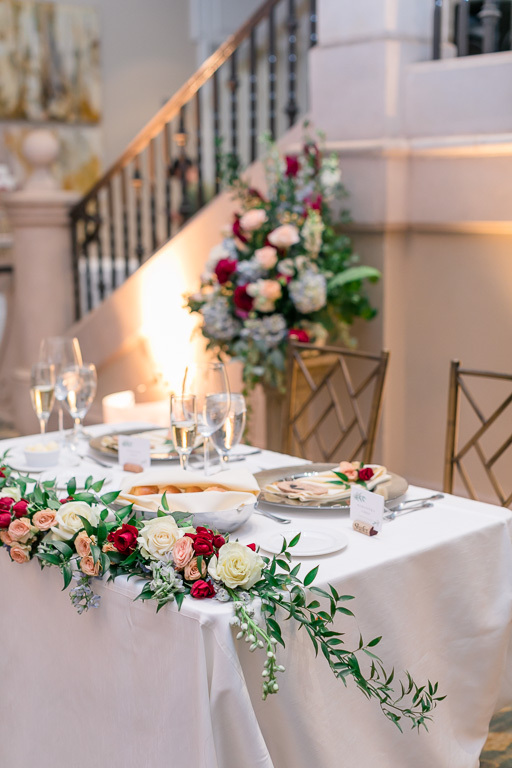 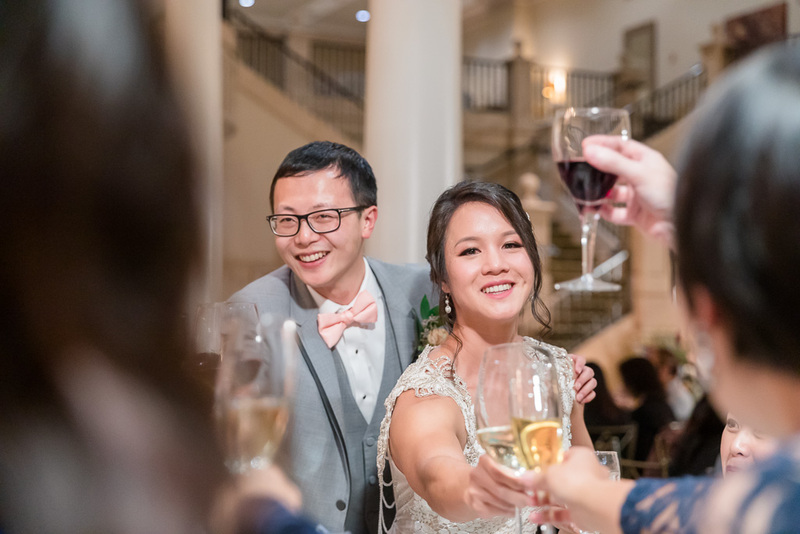 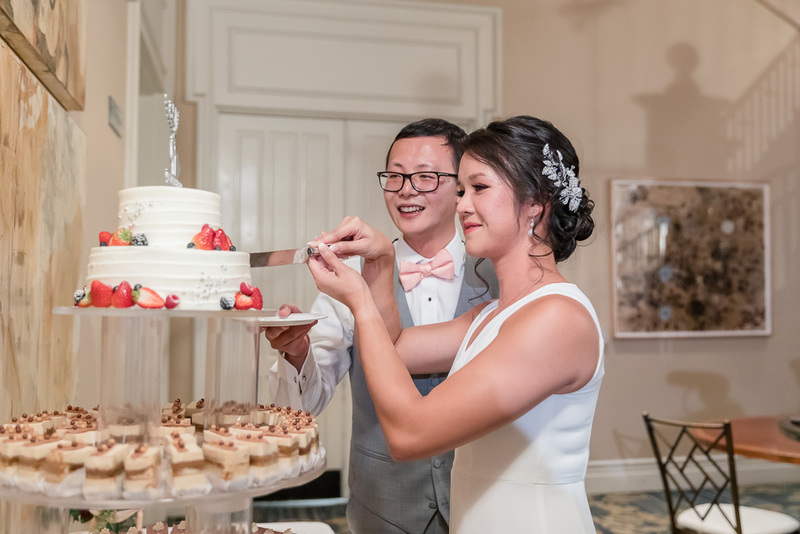 This venue is one of our new favorites in the East Bay, and I think you’ll quickly see why when you scroll through their photos! 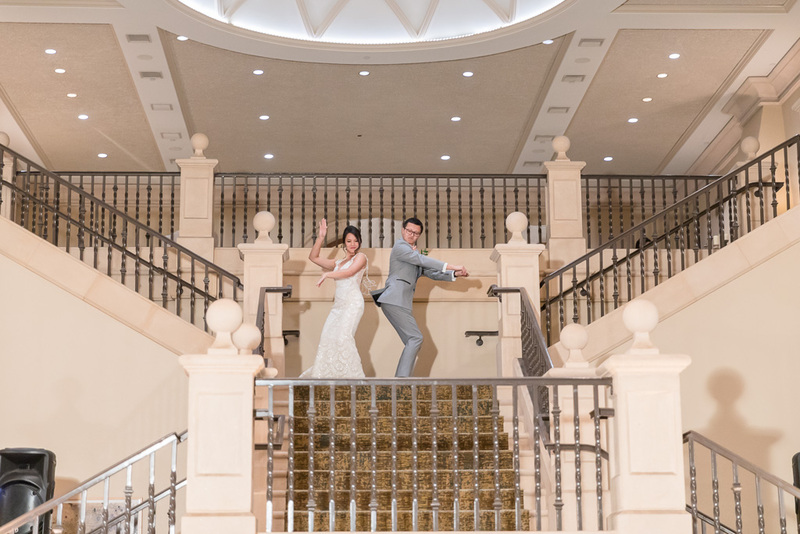 Will & Sam had their first look on the grand staircase. 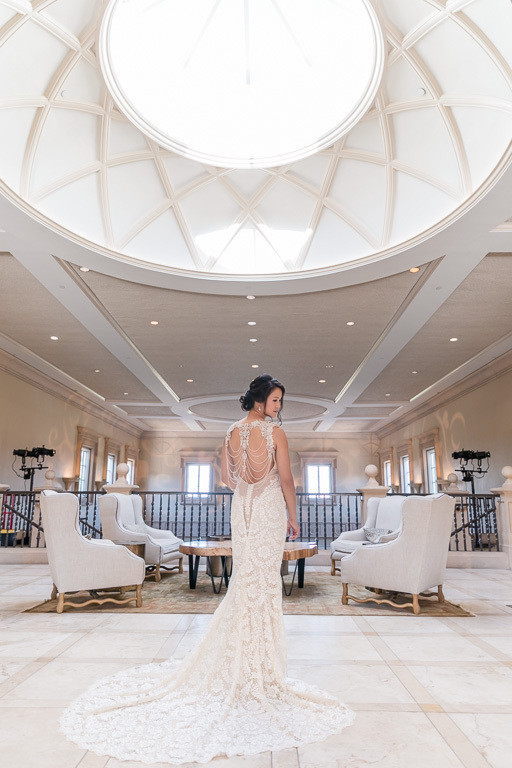 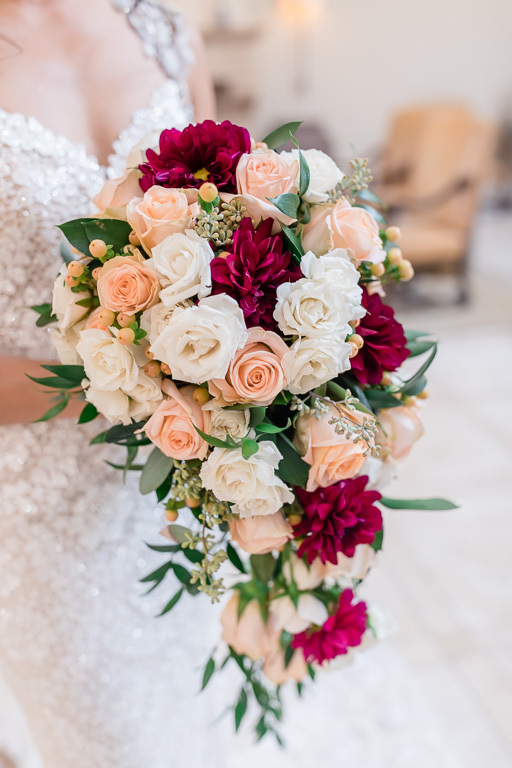 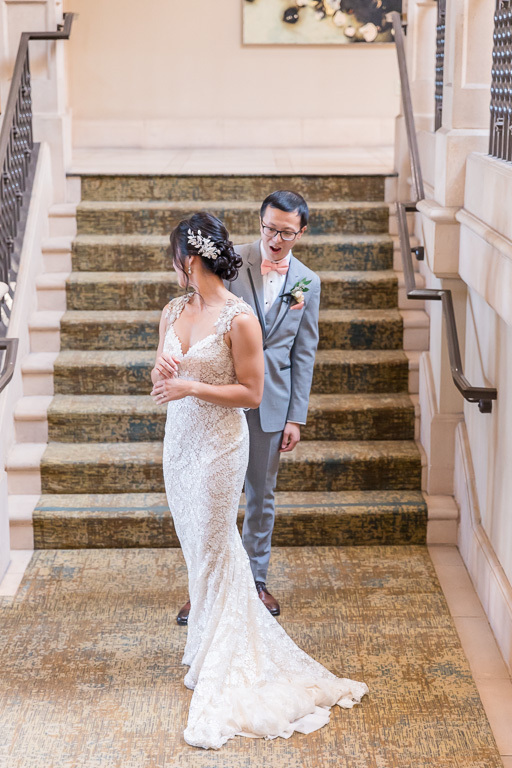 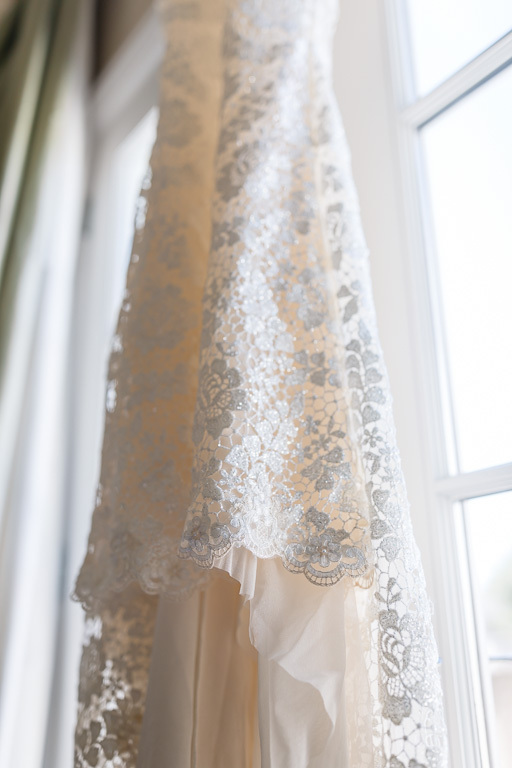 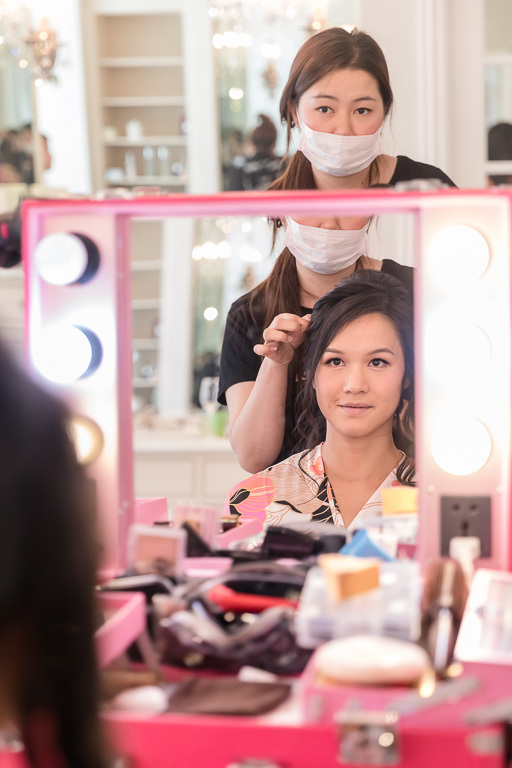 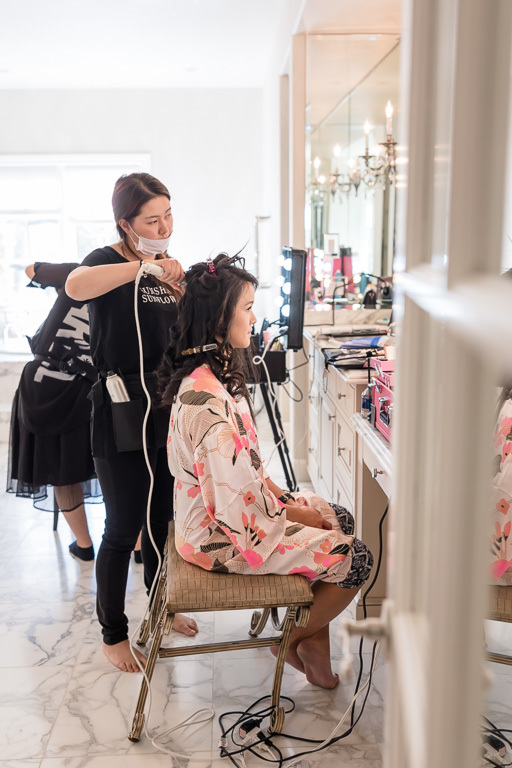 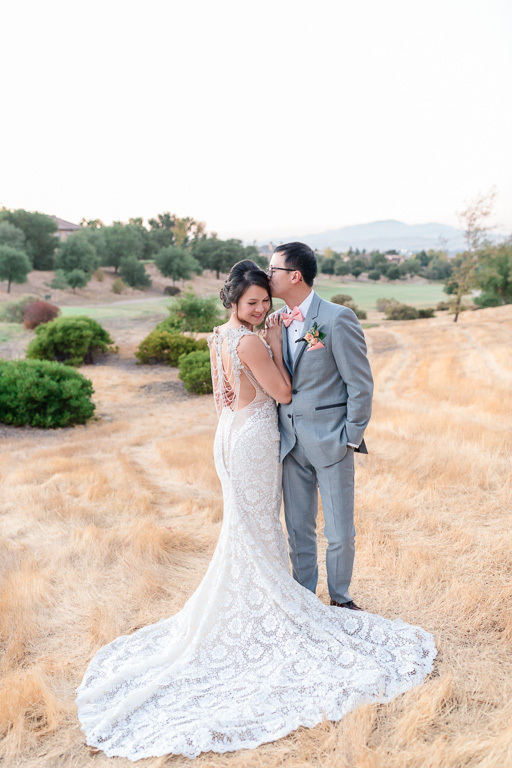 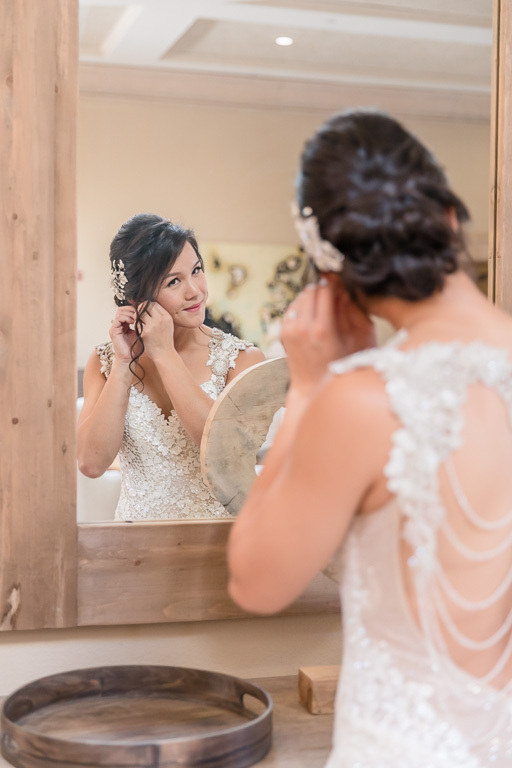 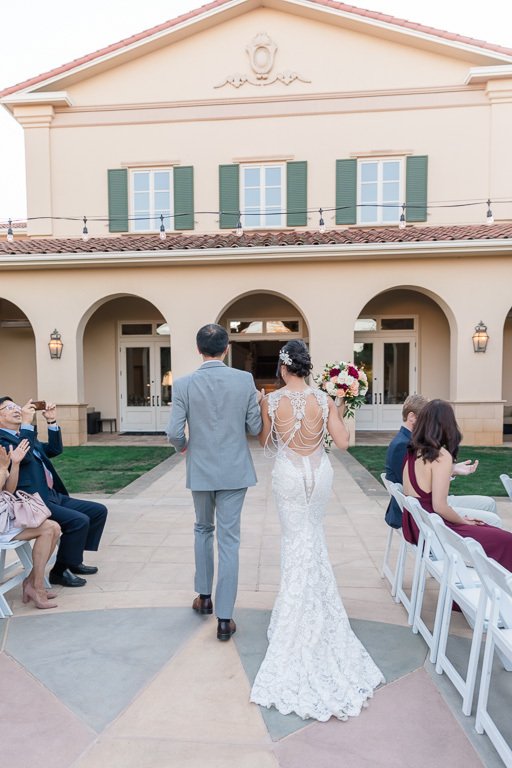 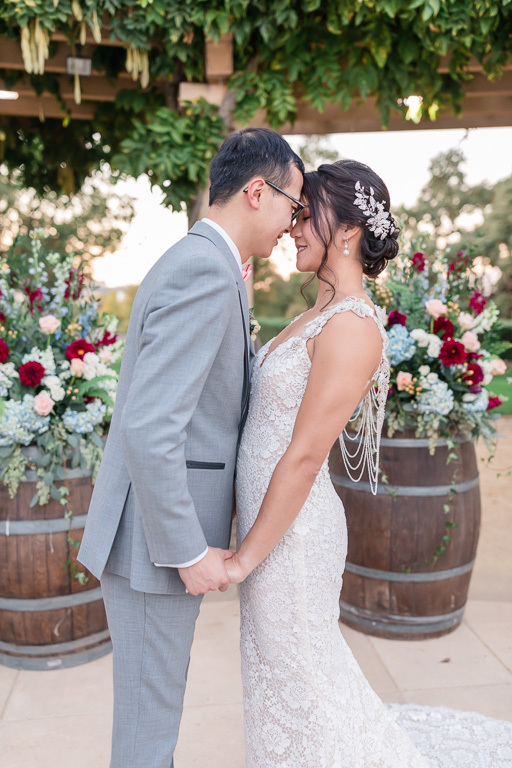 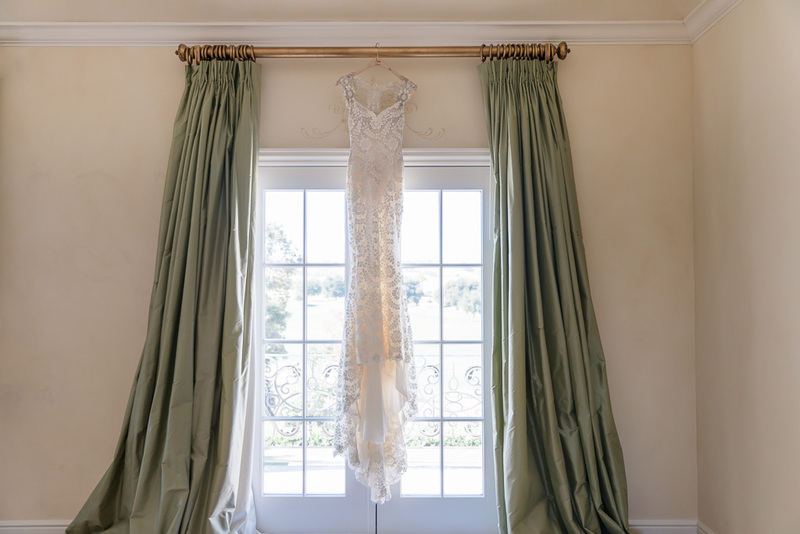 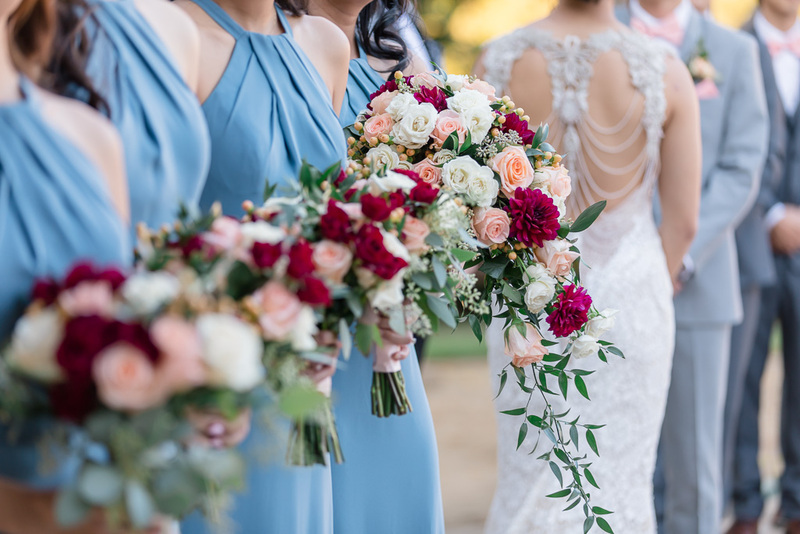 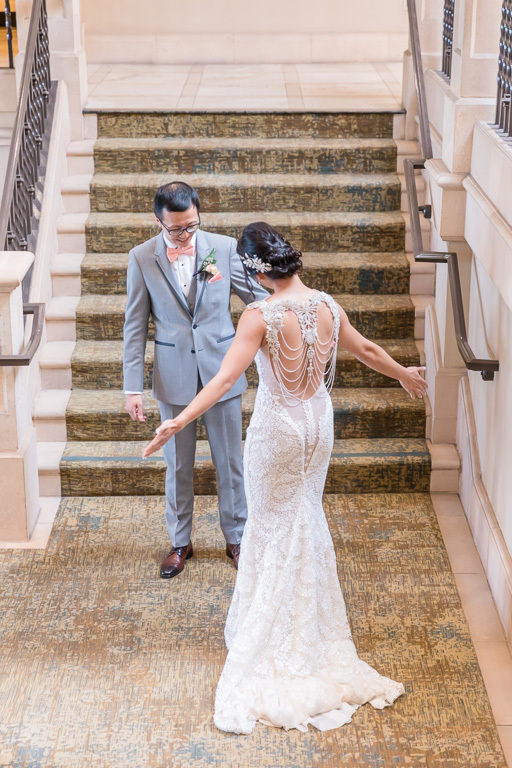 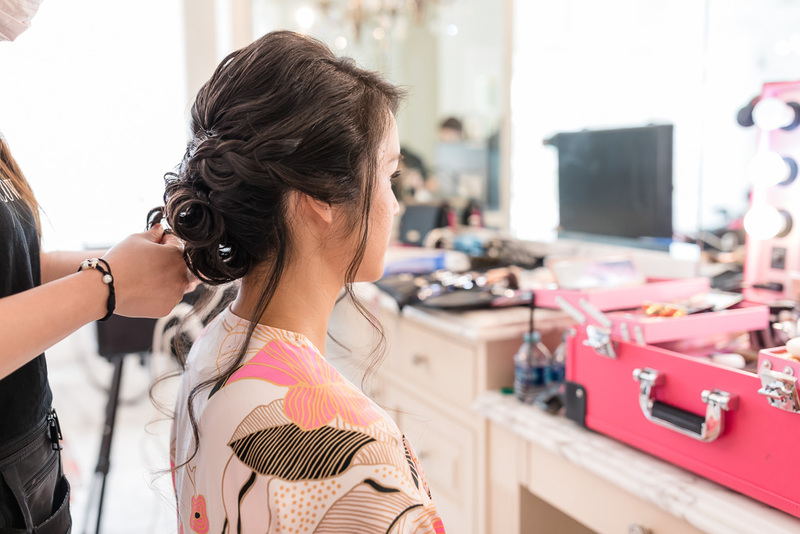 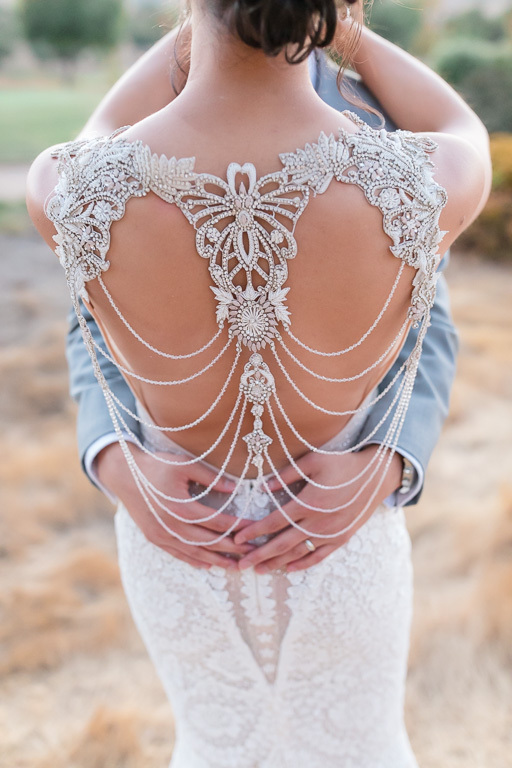 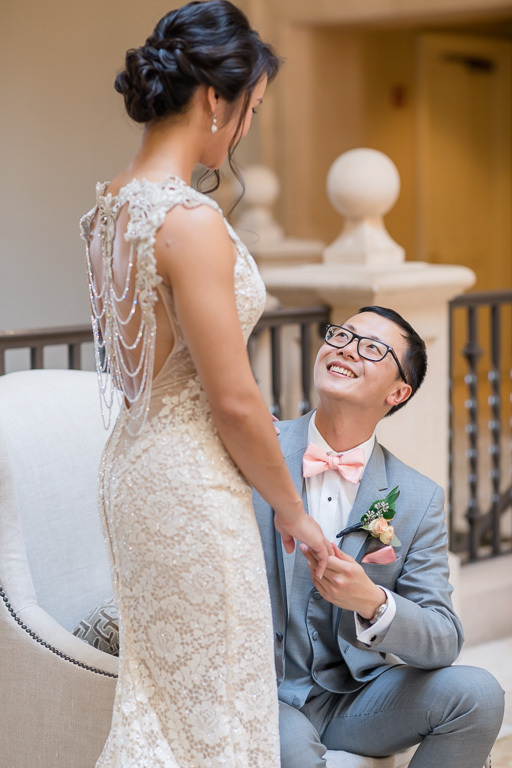 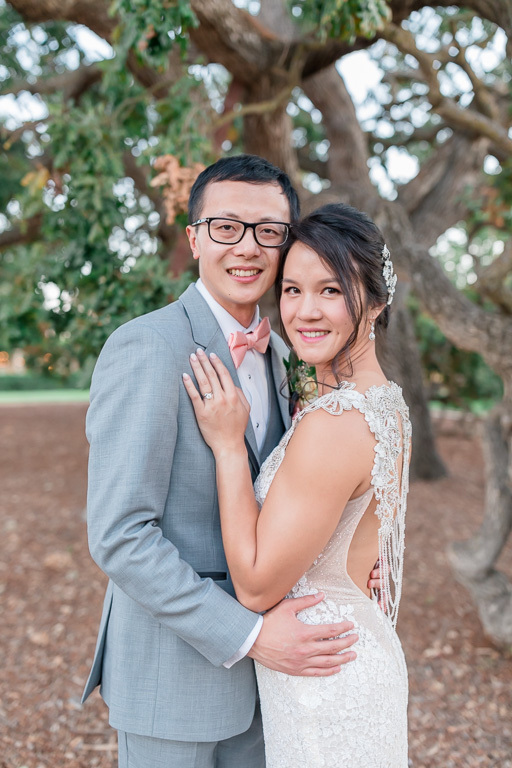 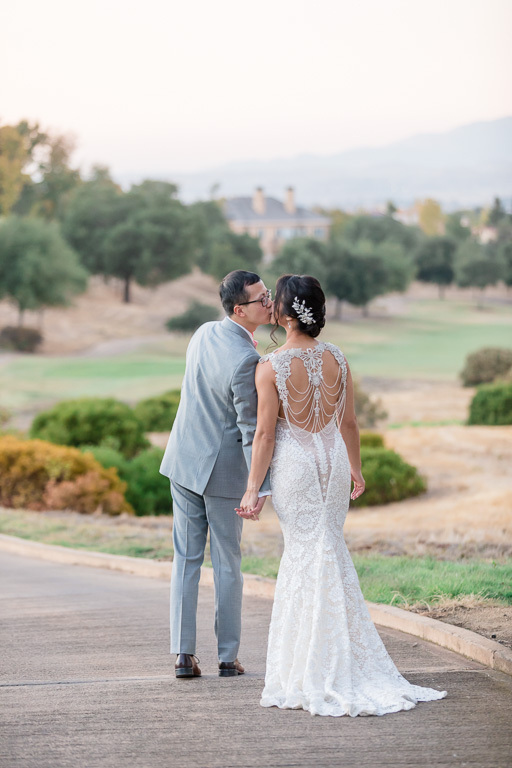 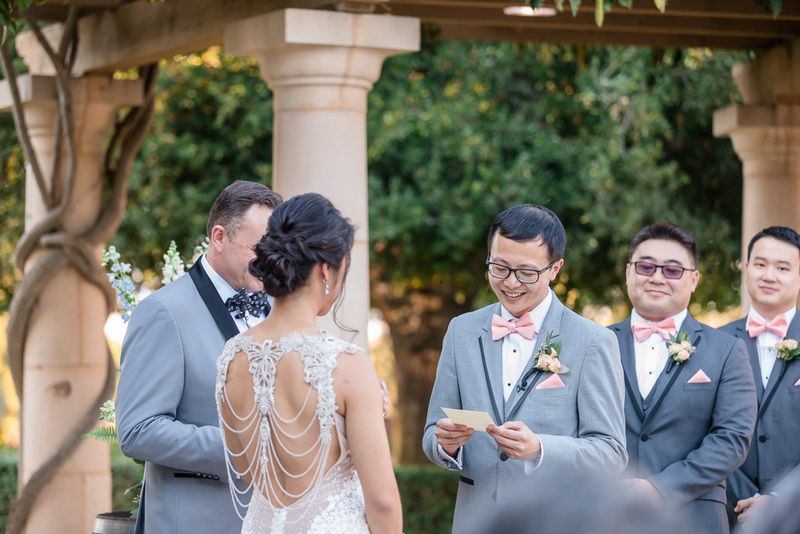 Will’s jaw dropped when he saw the back of Sam’s dress, and that was no surprise… her dress was absolutely stunning all around, and the back was especially ornate and exquisite like none we’d seen before. 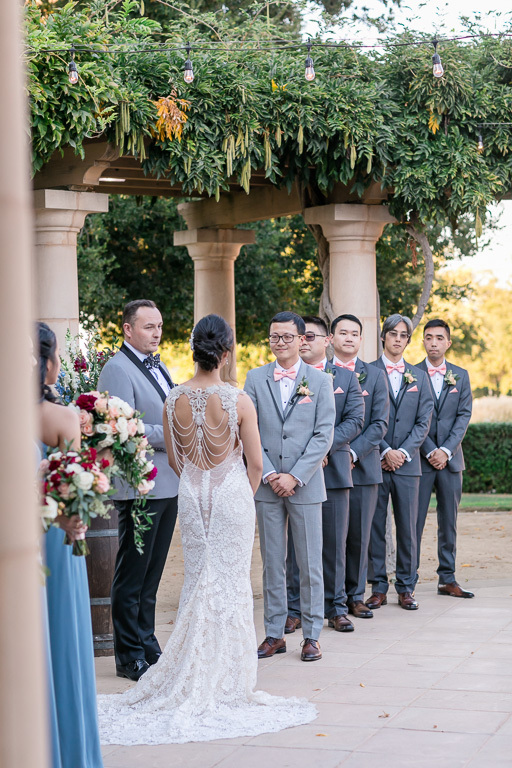 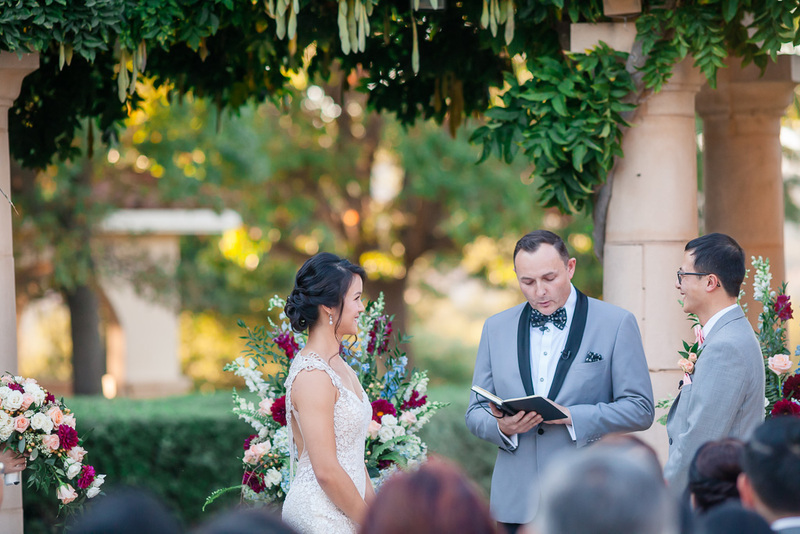 Their ceremony was one of my favorite parts of the wedding. 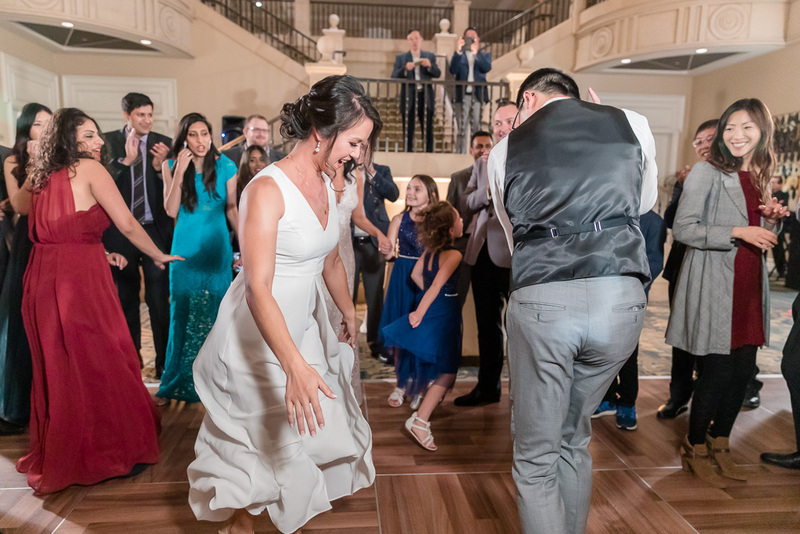 It was happy, it was emotional, and it was everything in between. 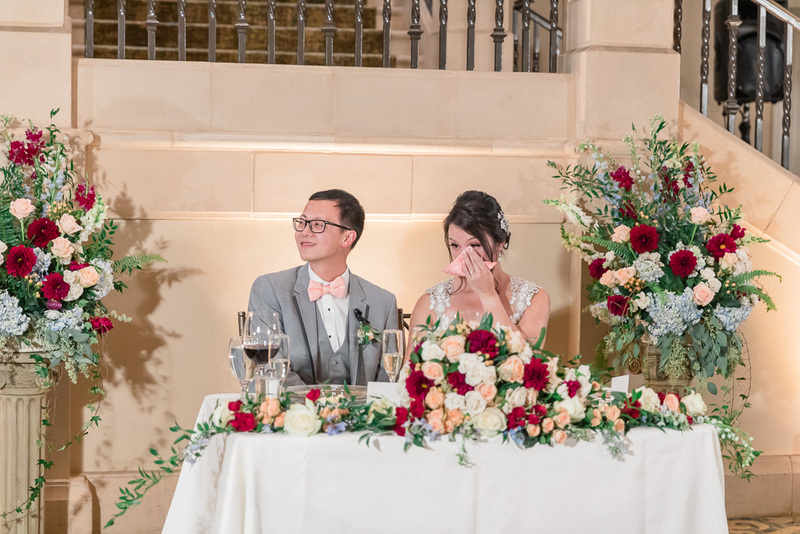 At the end, Will wiped a tear from his new wife’s eye just before their first kiss as husband & wife. 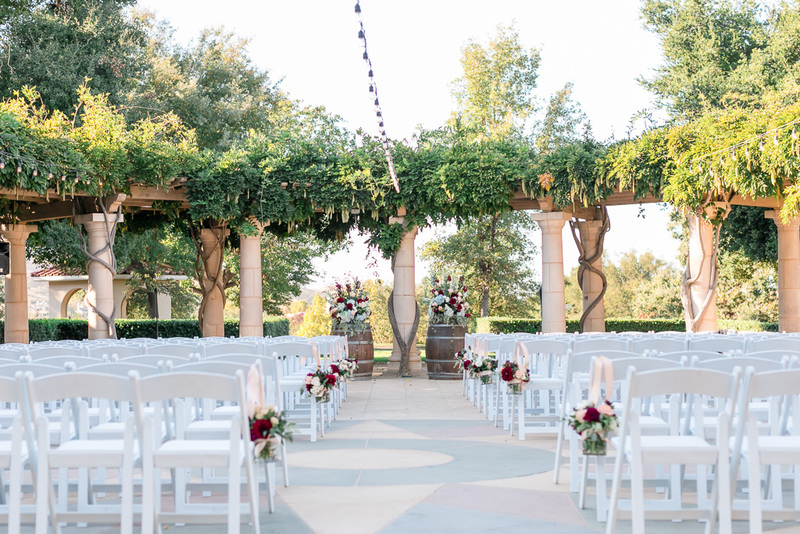 And all of this was under the most golden, dreamy sunlight, with impeccable floral arrangements and decorations all around the area. 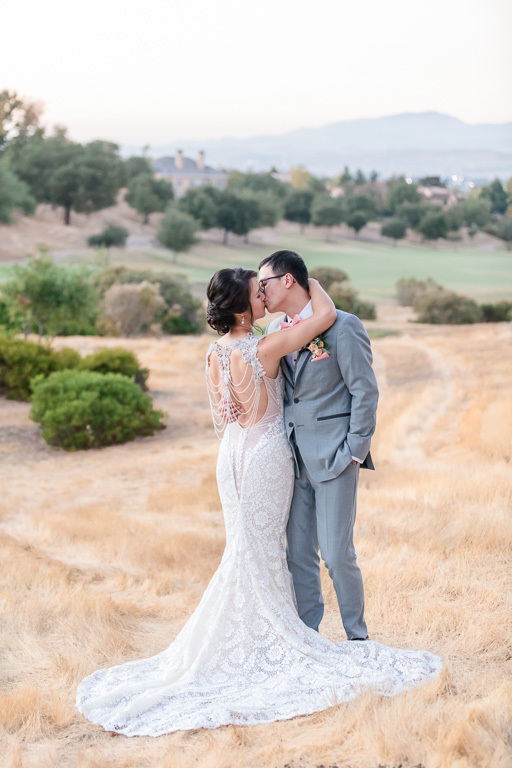 It was absolutely picture-perfect in every way! 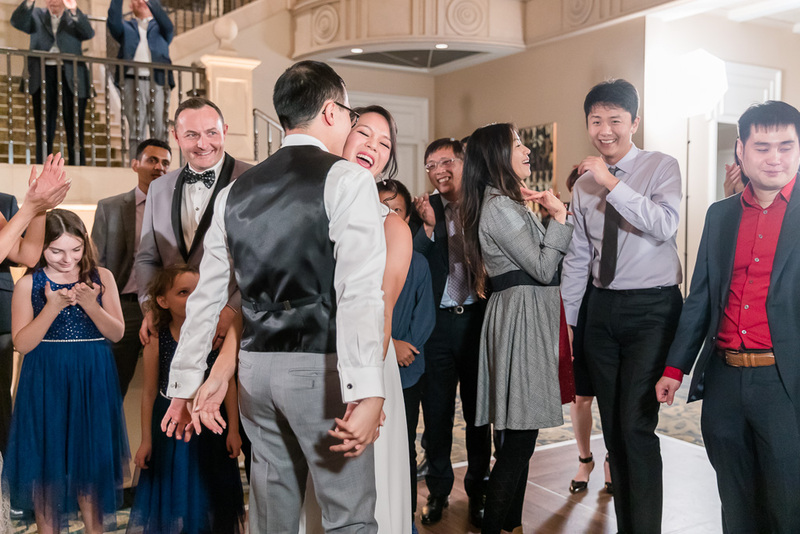 As photographers, the whole event was such a joy for us to witness and capture. 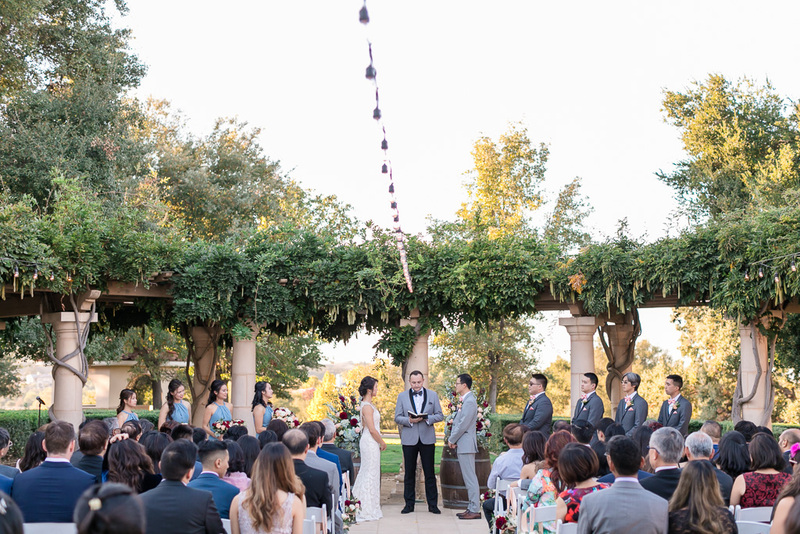 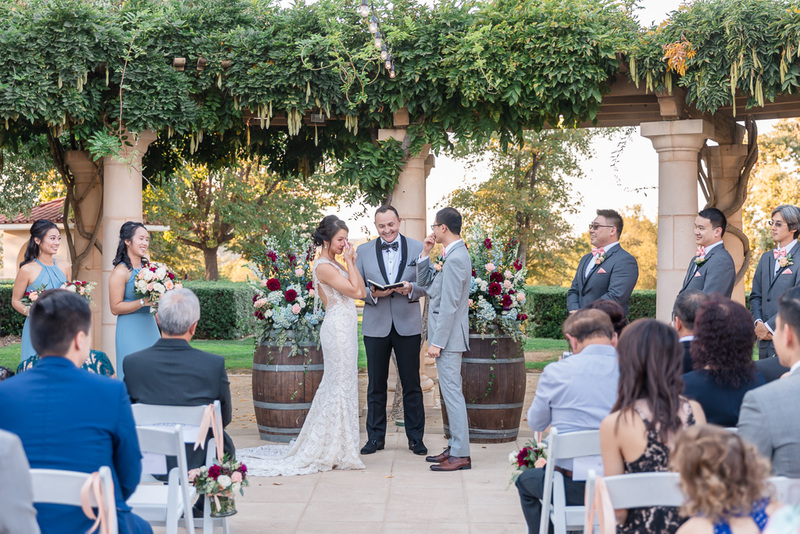 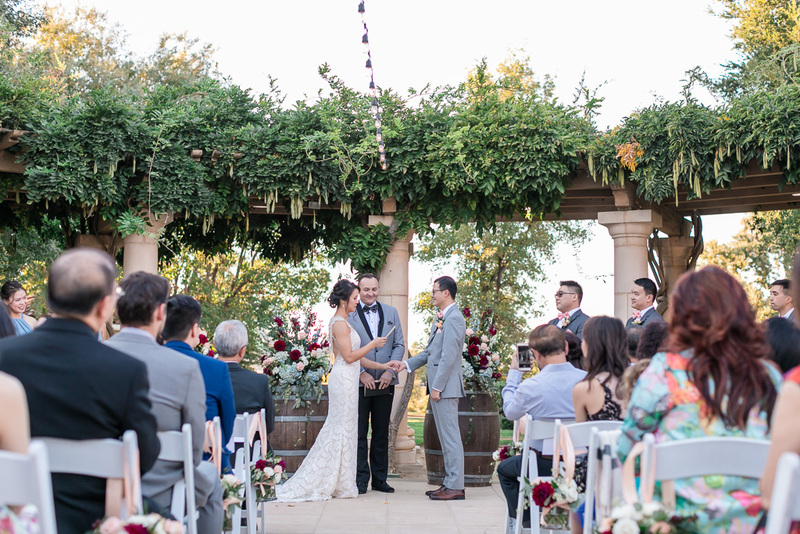 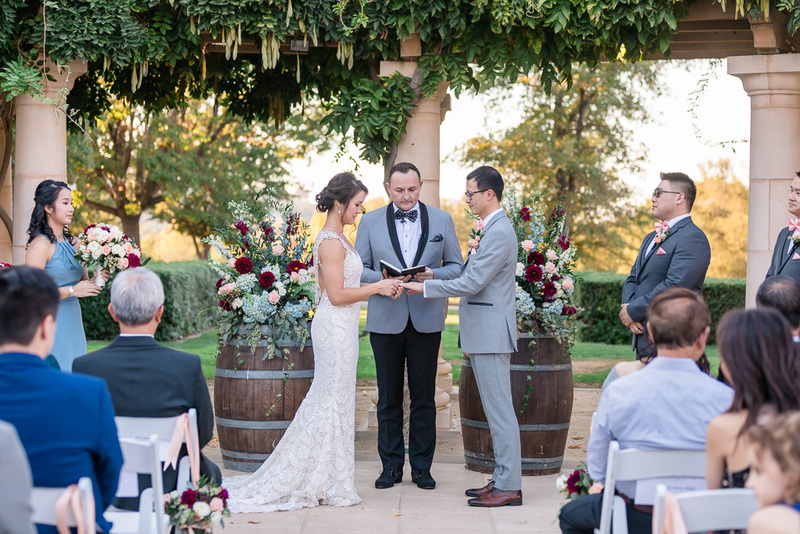 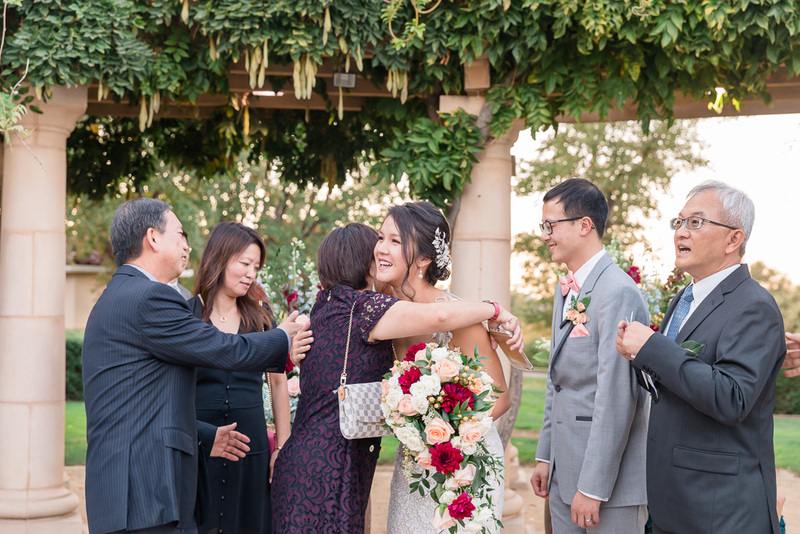 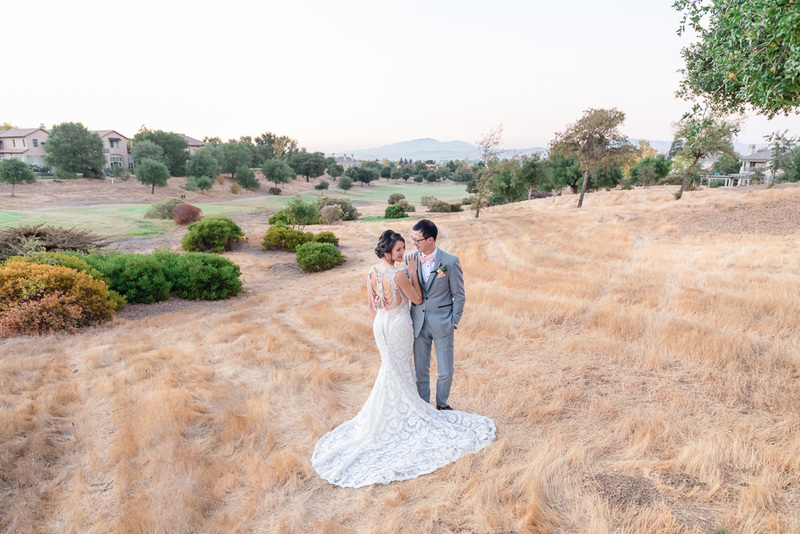 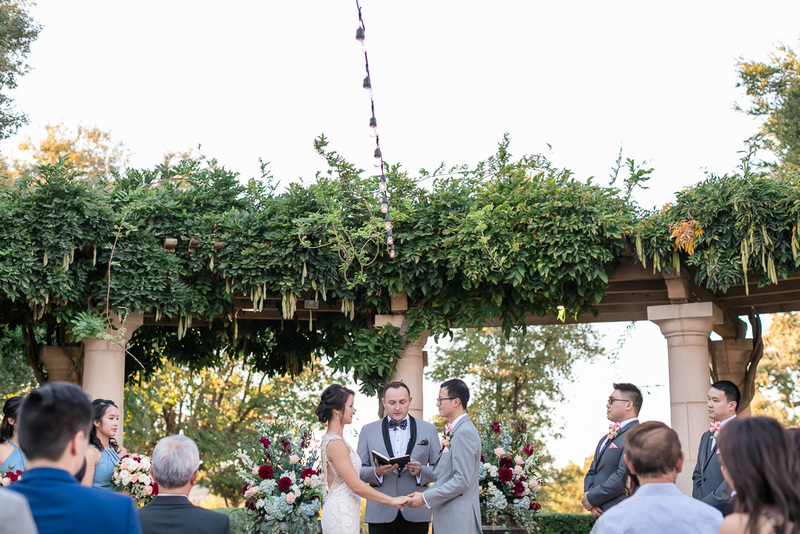 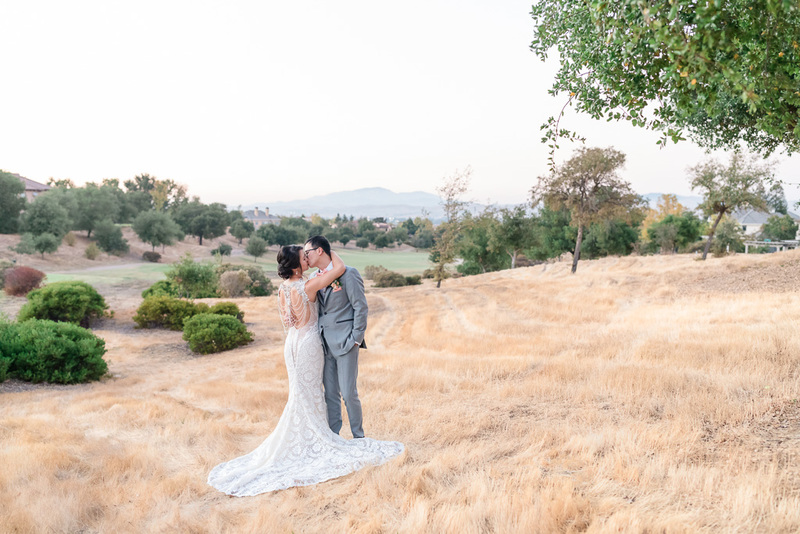 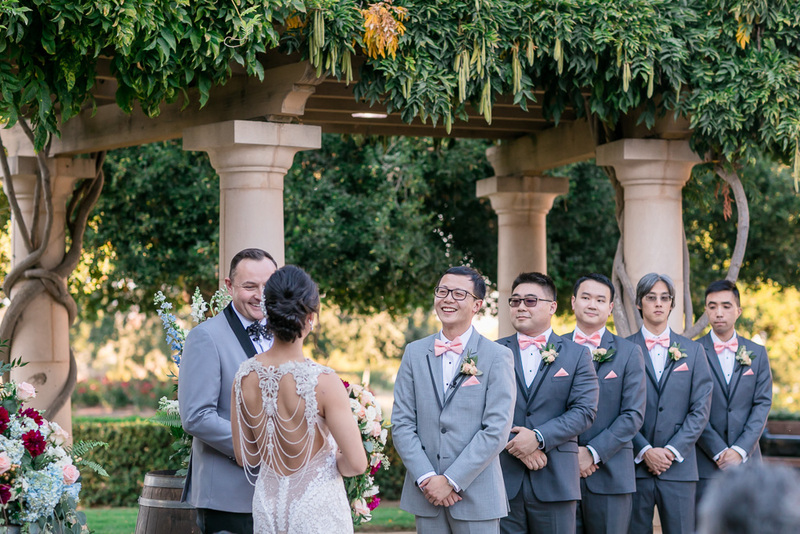 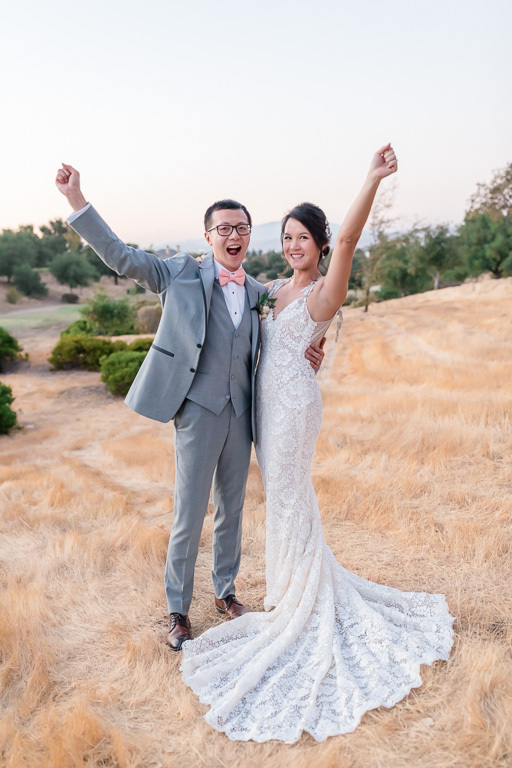 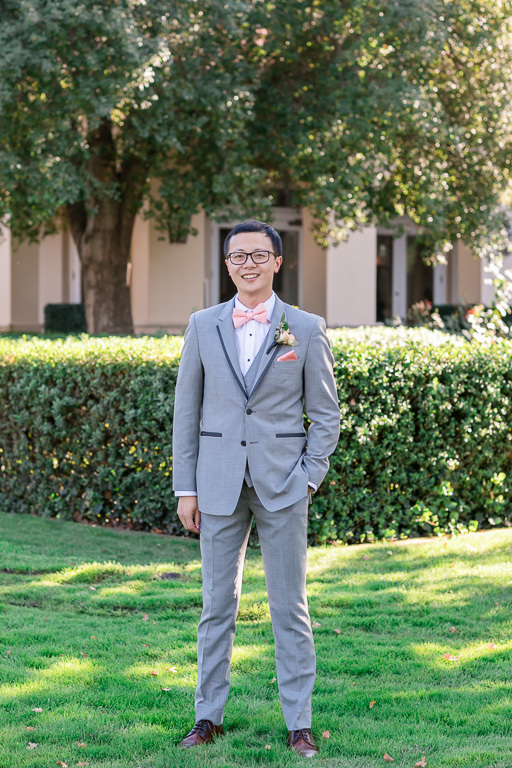 The giant oak tree, the open field of golden grass, the beautiful mountain backdrop, and the elegant, well-arranged decorations and details all added to the perfection of their wedding day. 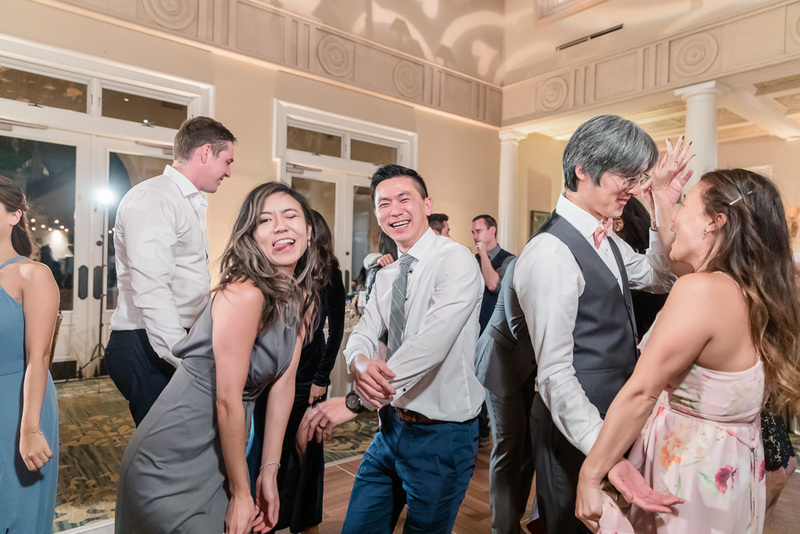 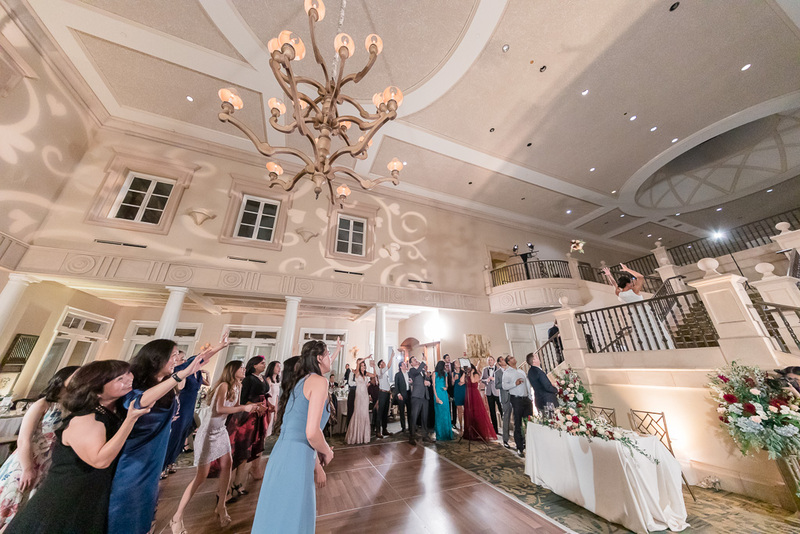 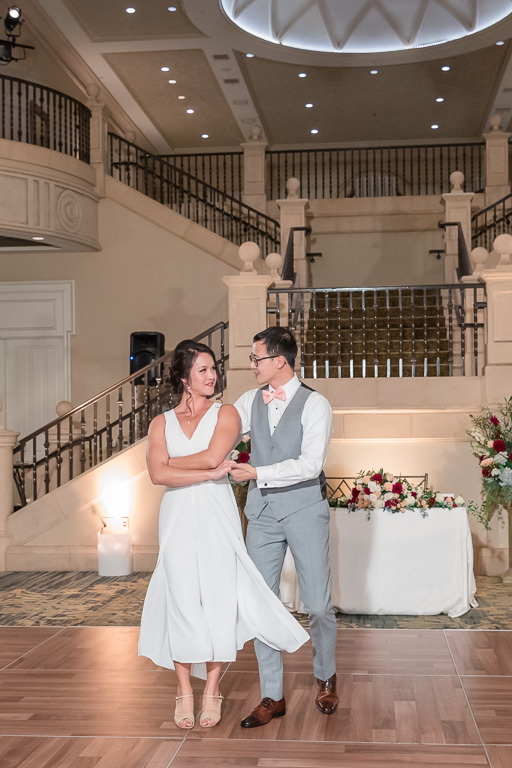 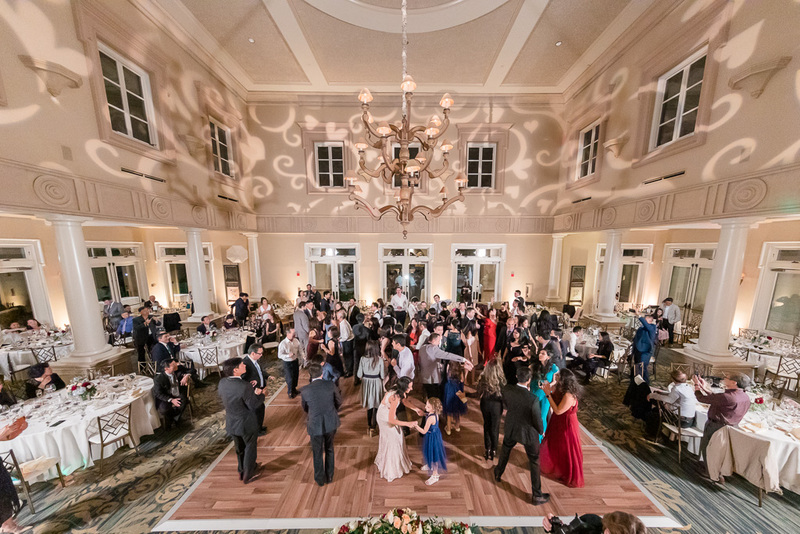 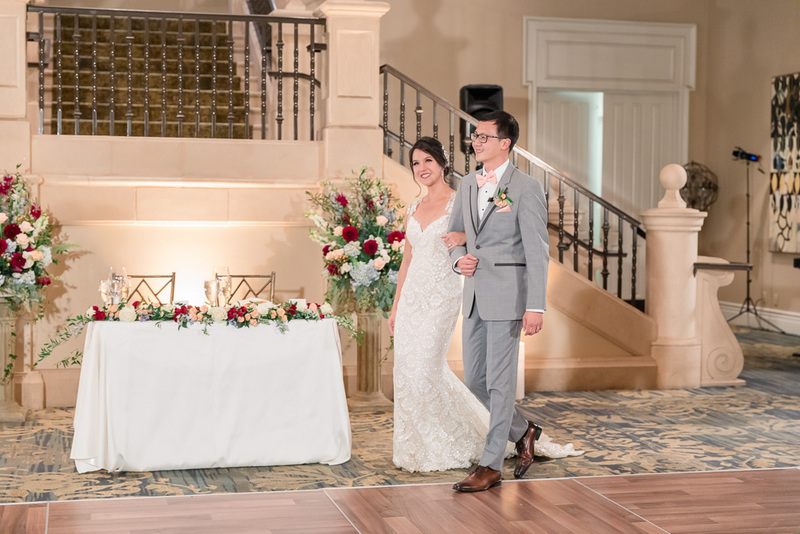 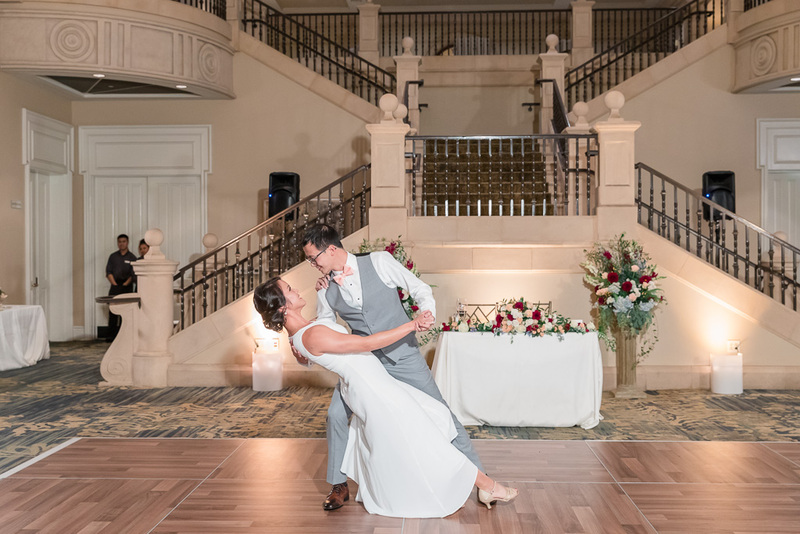 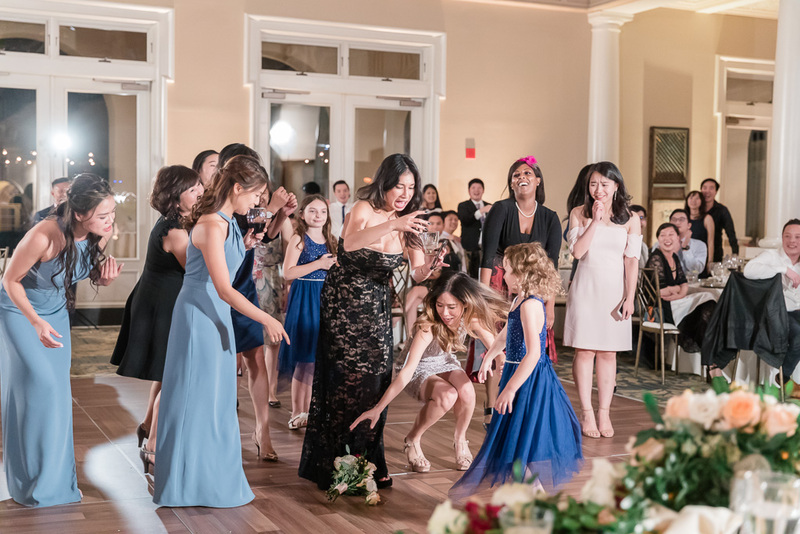 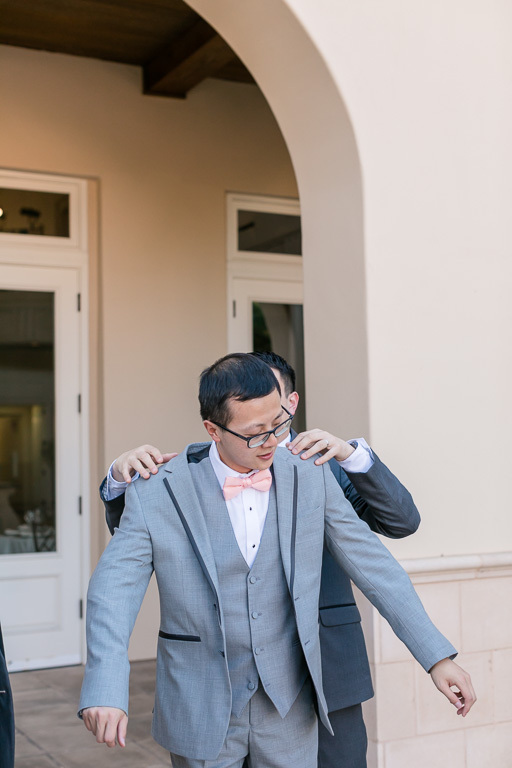 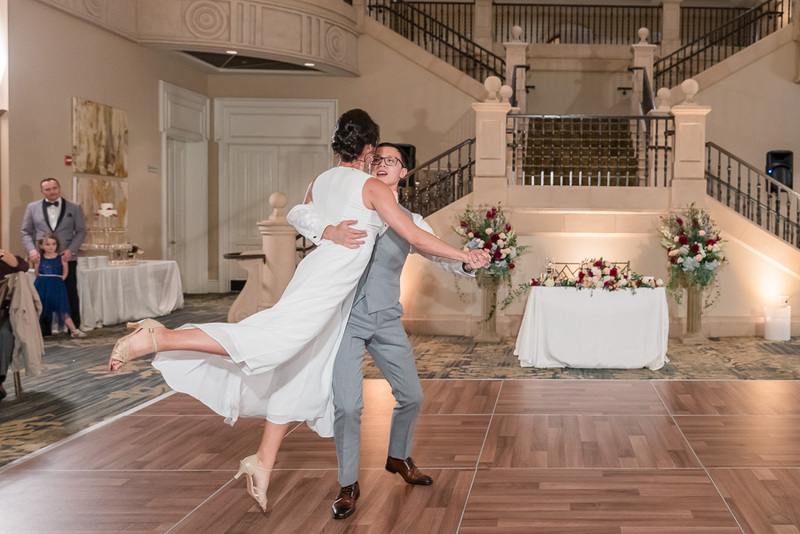 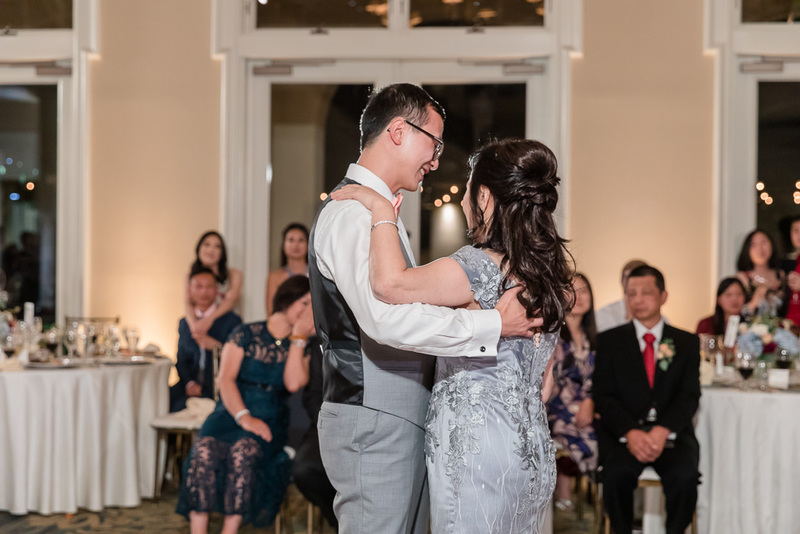 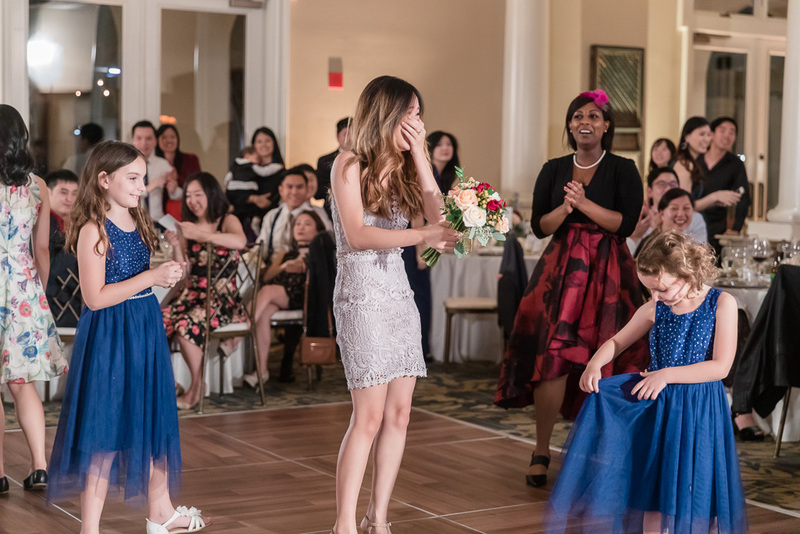 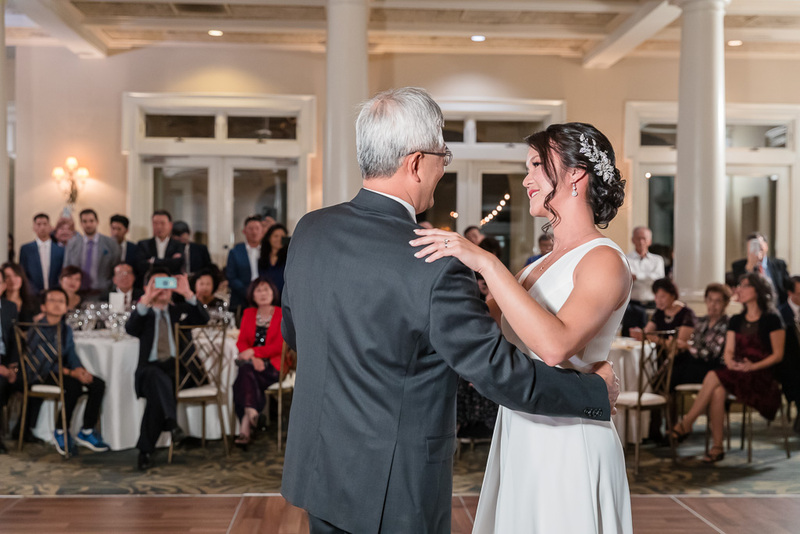 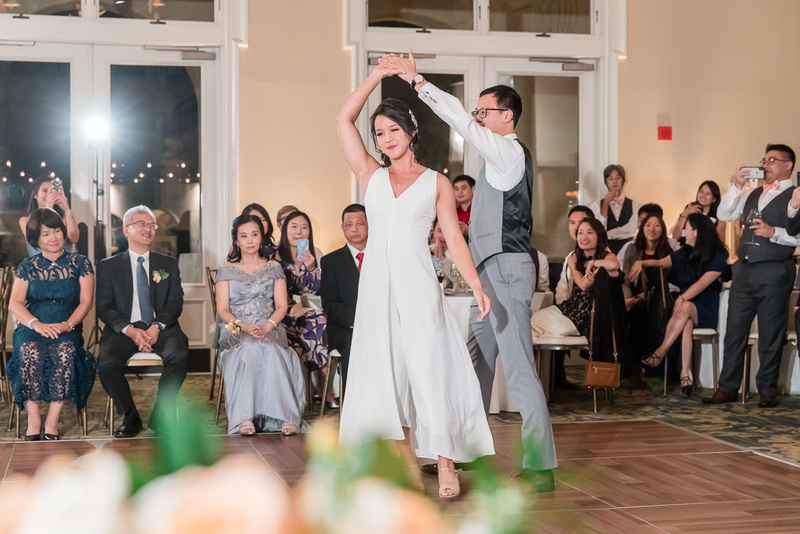 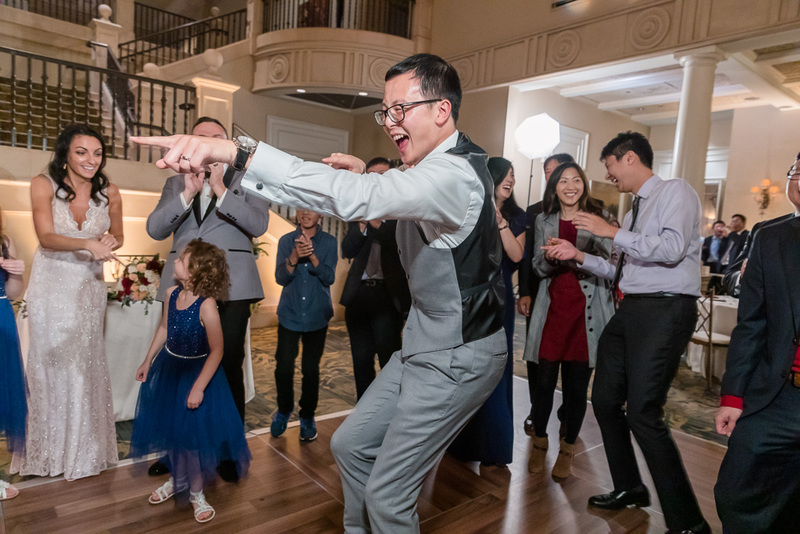 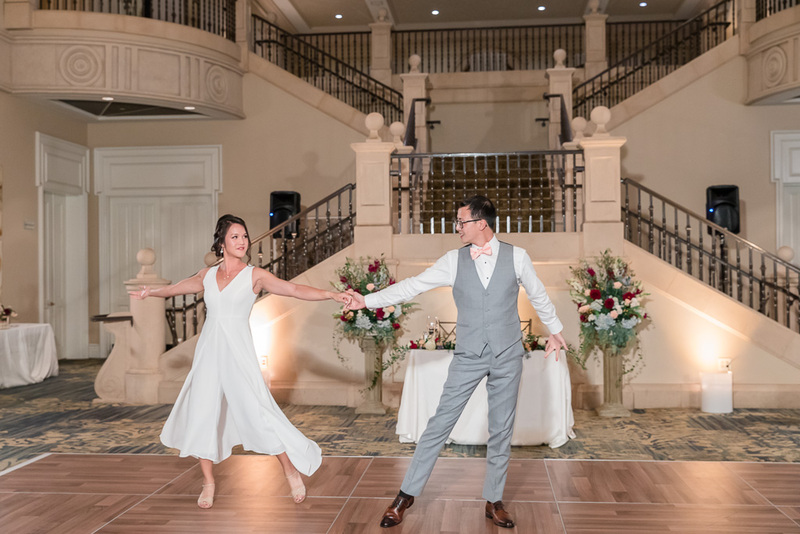 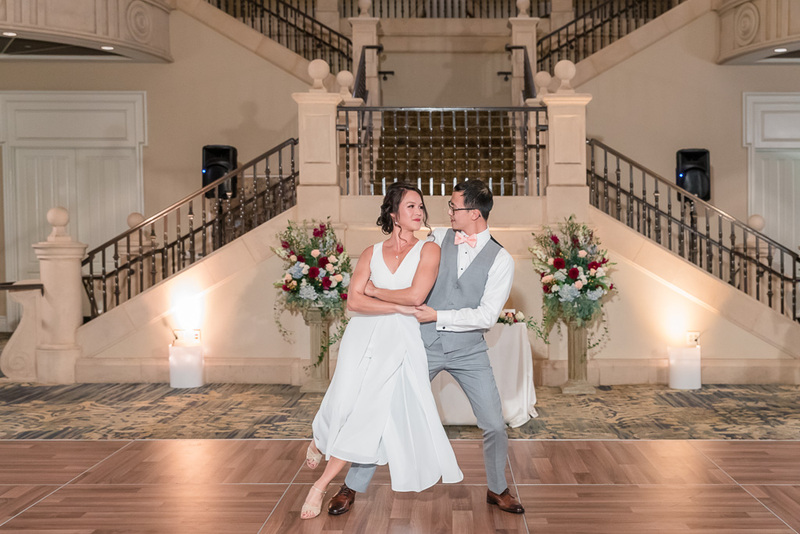 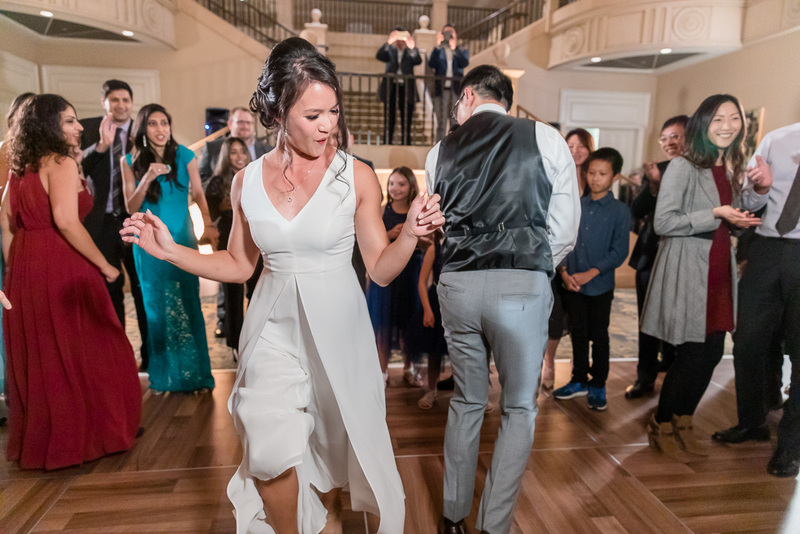 Before we leave you to look through these photos, we’ll just mention one more thing: be sure to take a look at Will & Sam’s excellently-choreographed first dance. 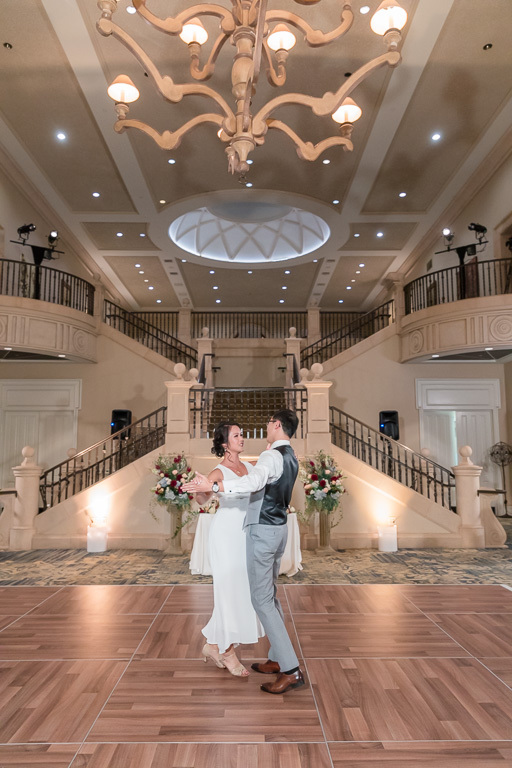 It was quite an impressive display to round out the night! 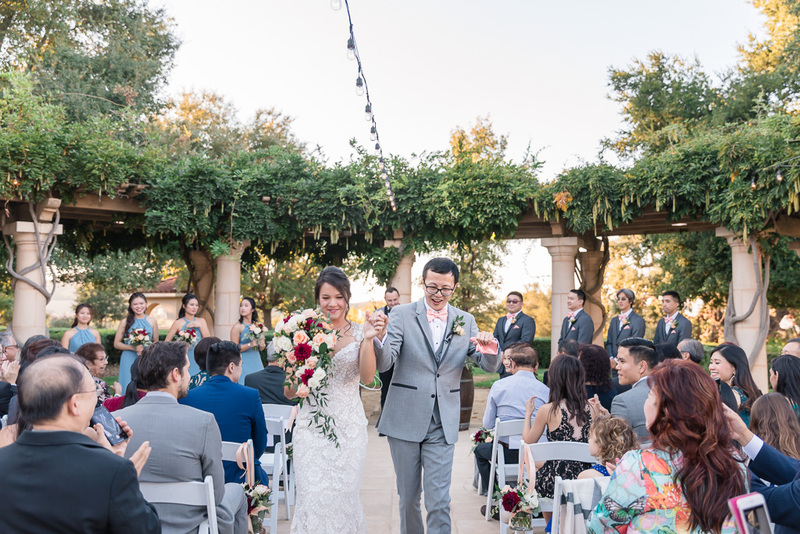 Congrats to Sam & Will on their perfect wedding!